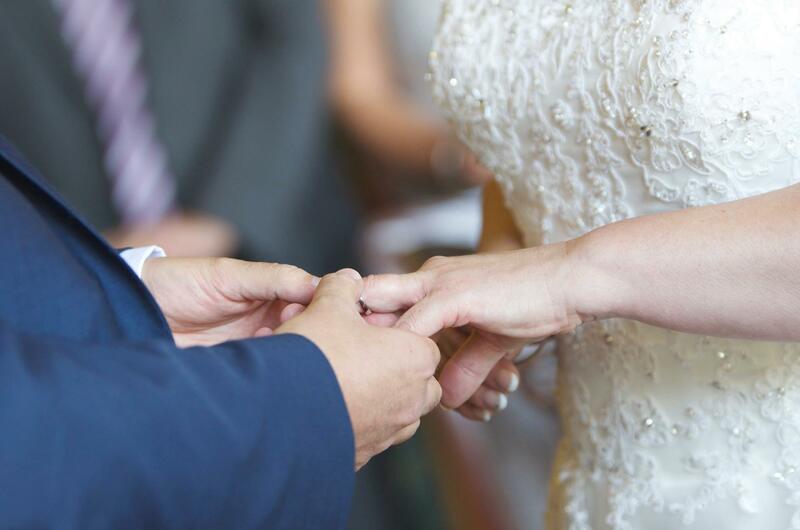 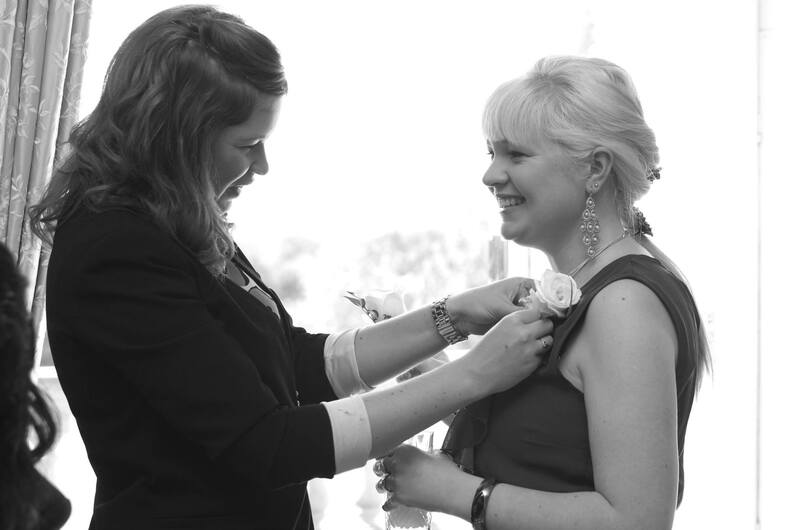 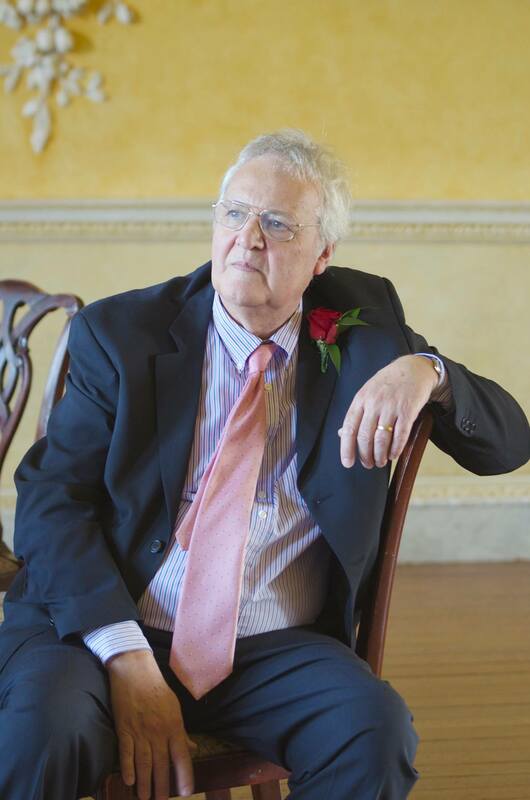 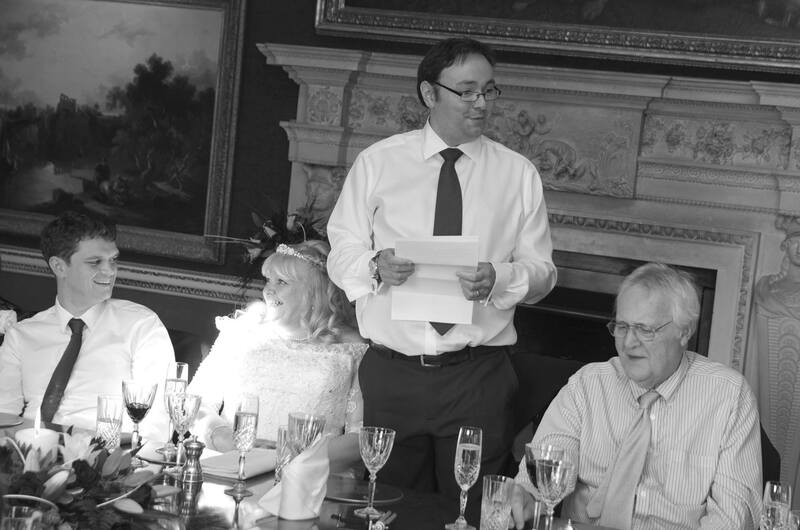 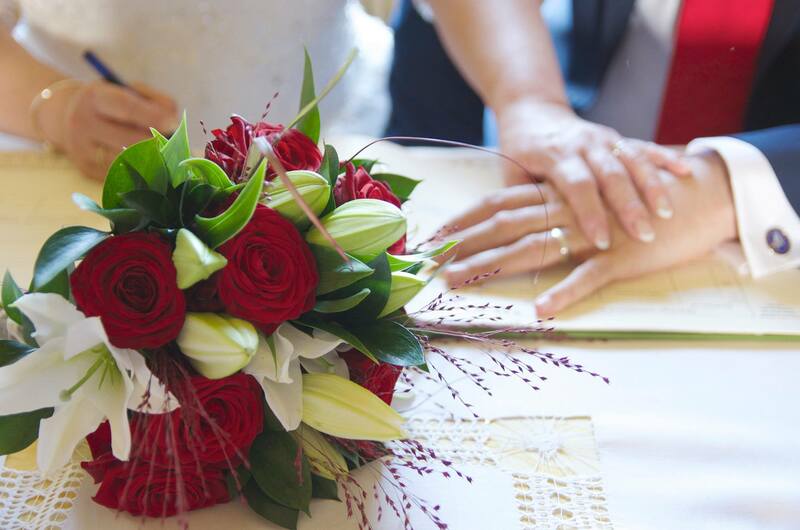 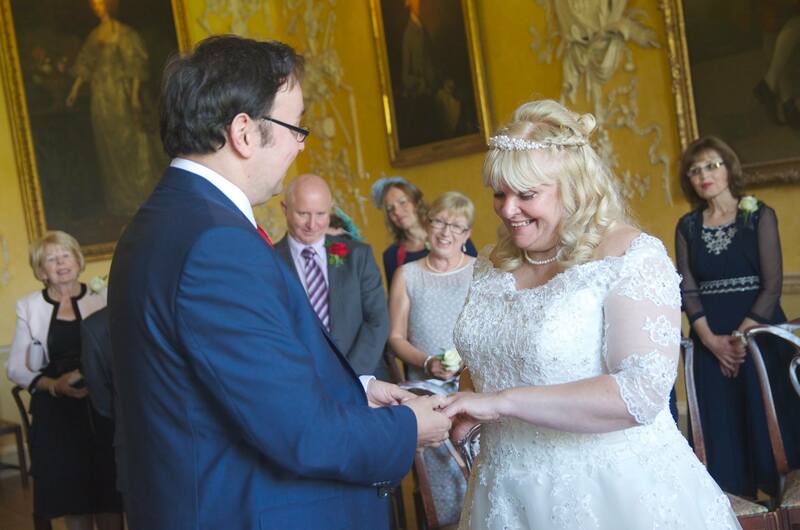 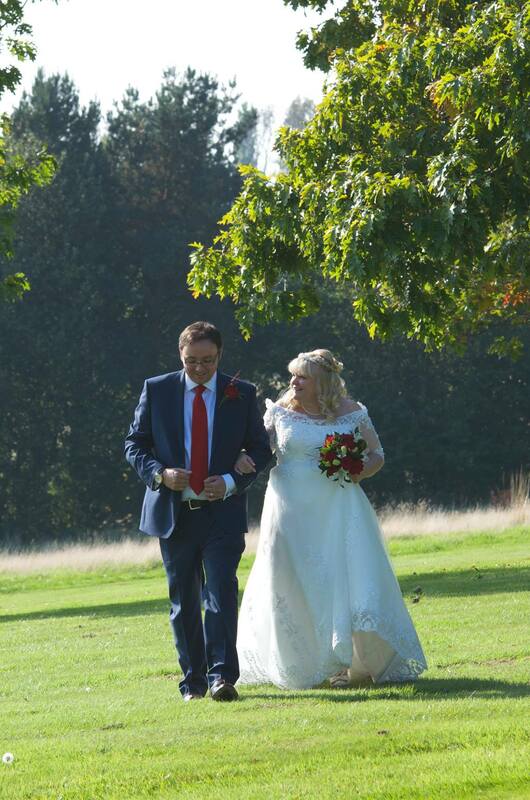 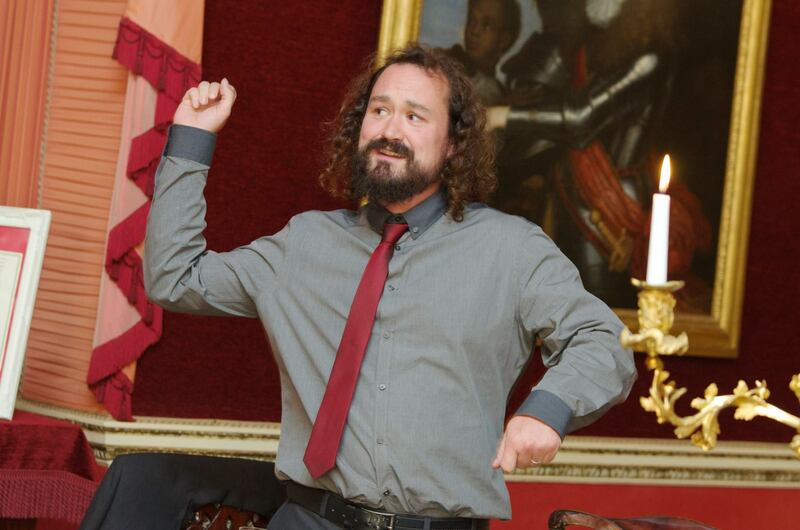 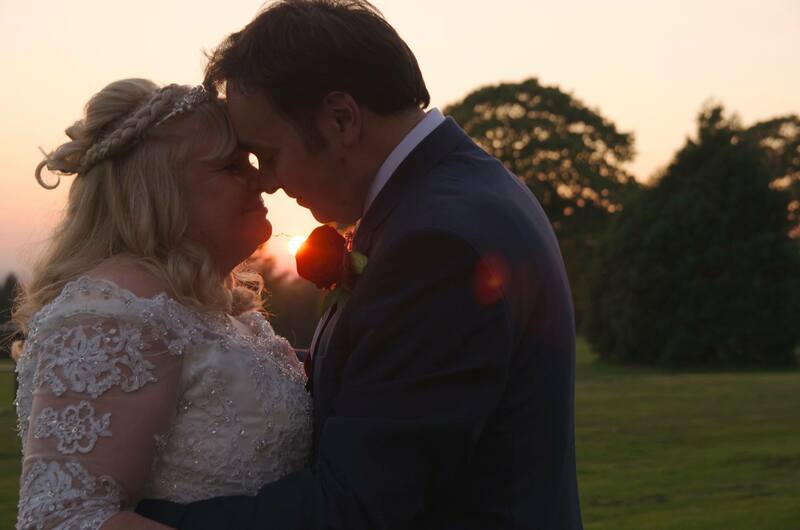 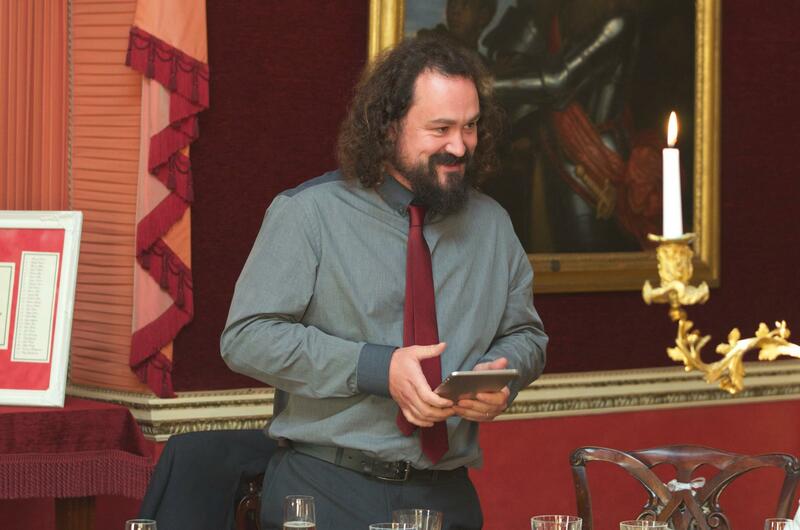 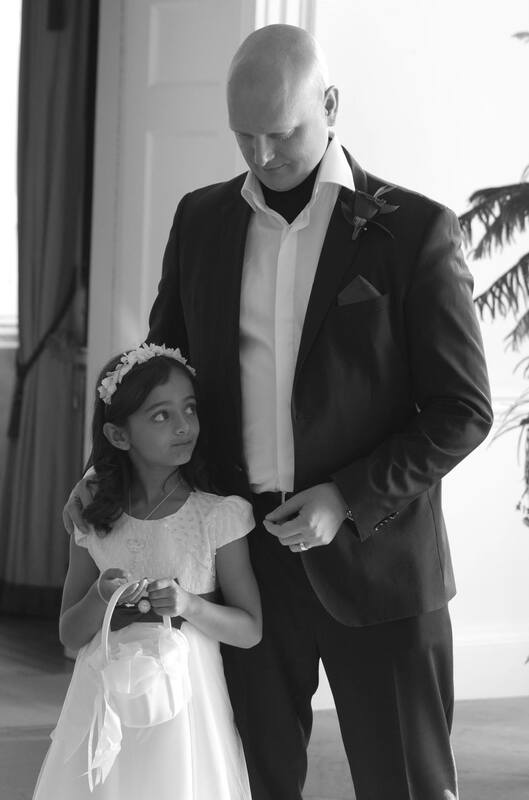 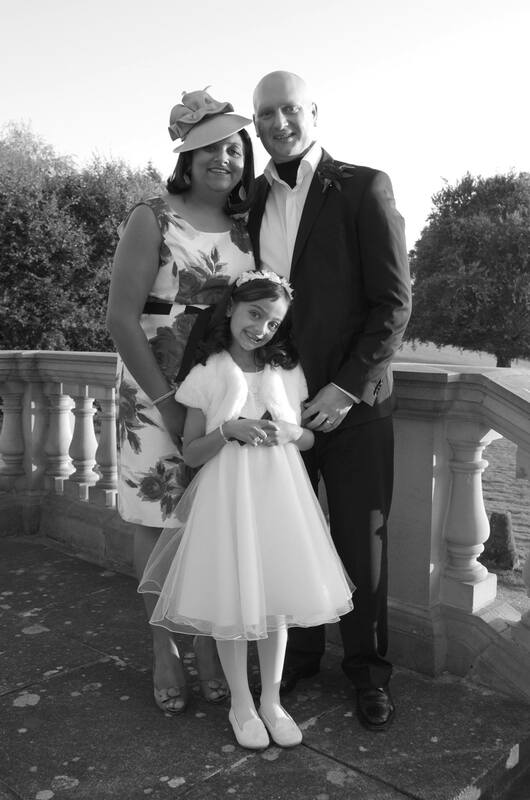 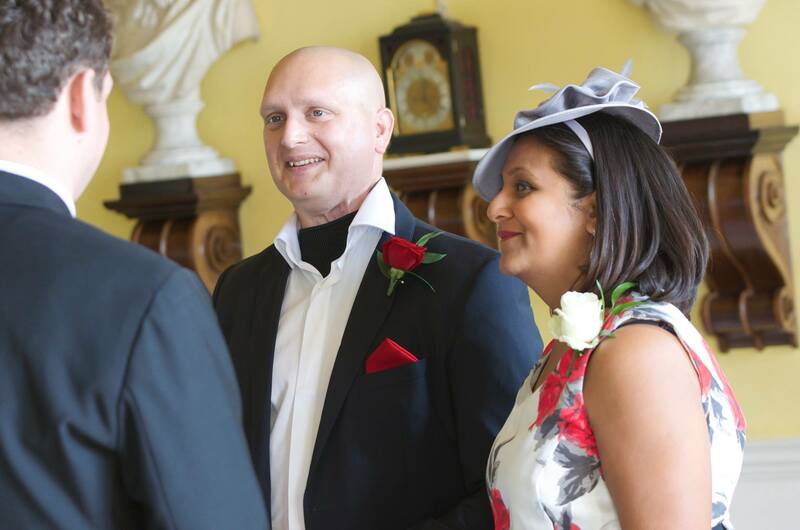 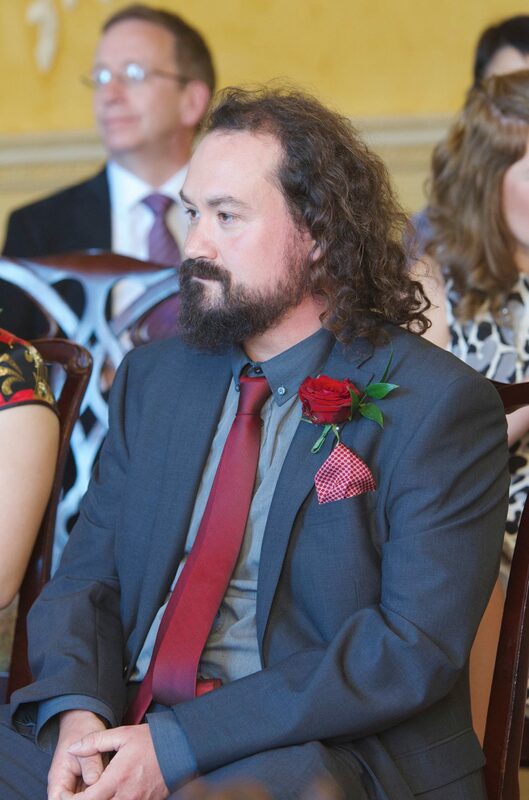 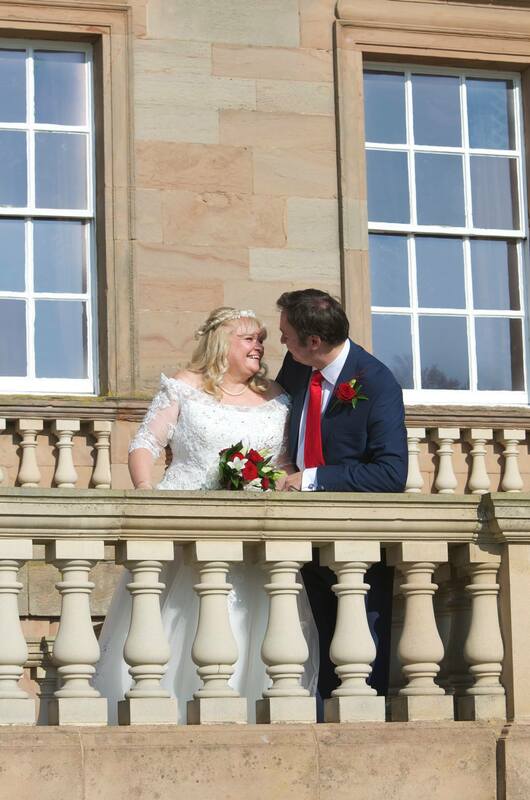 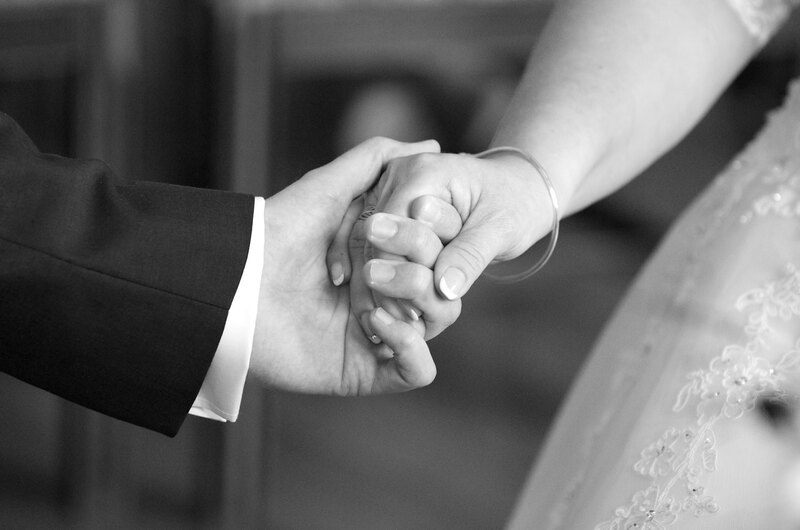 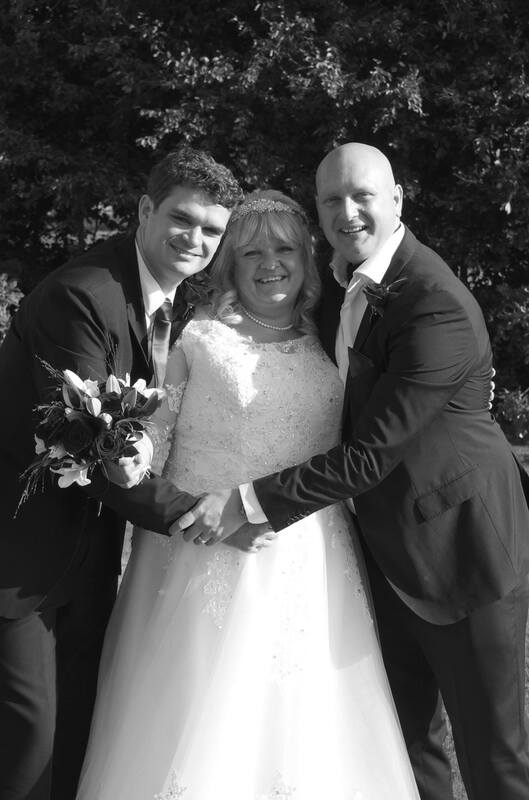 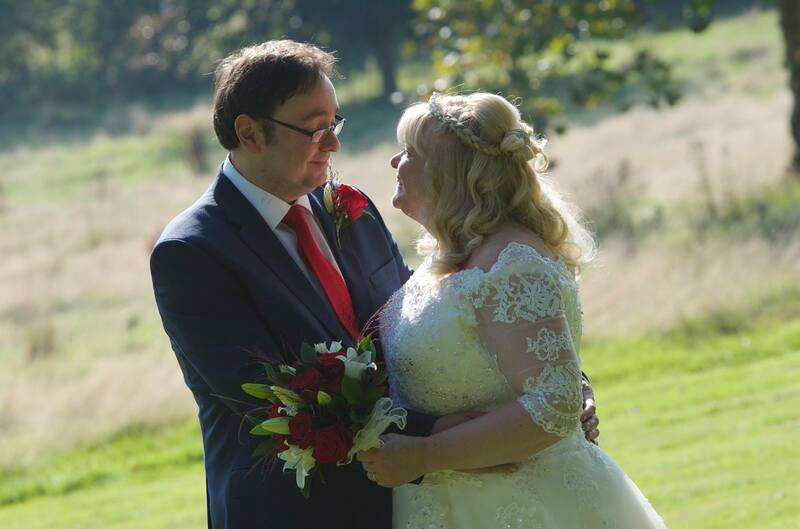 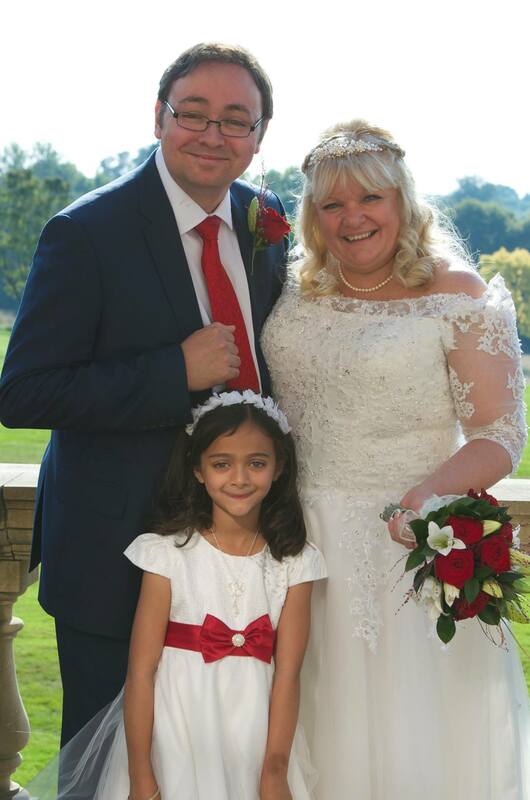 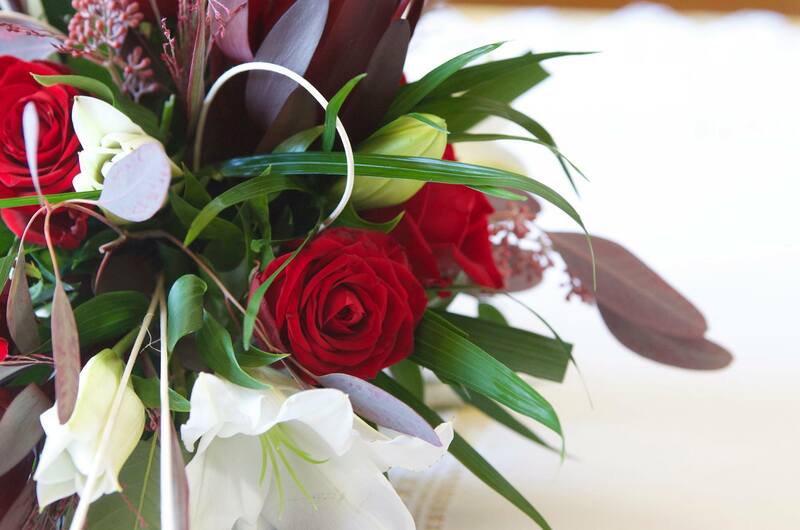 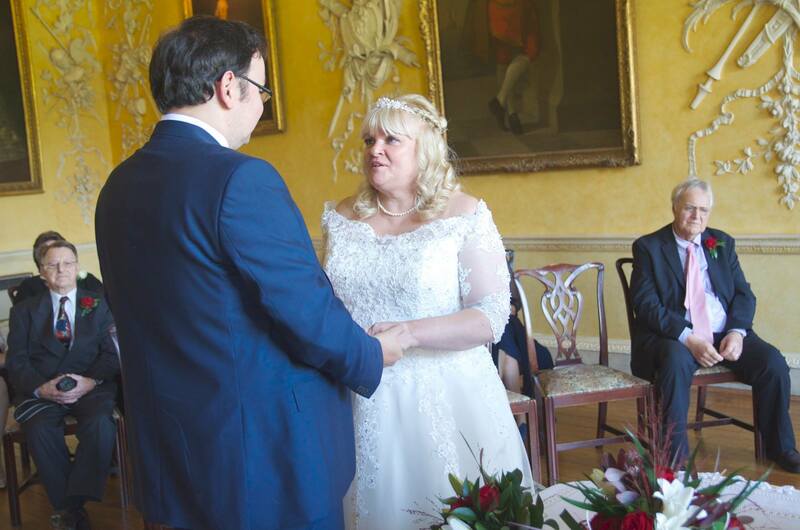 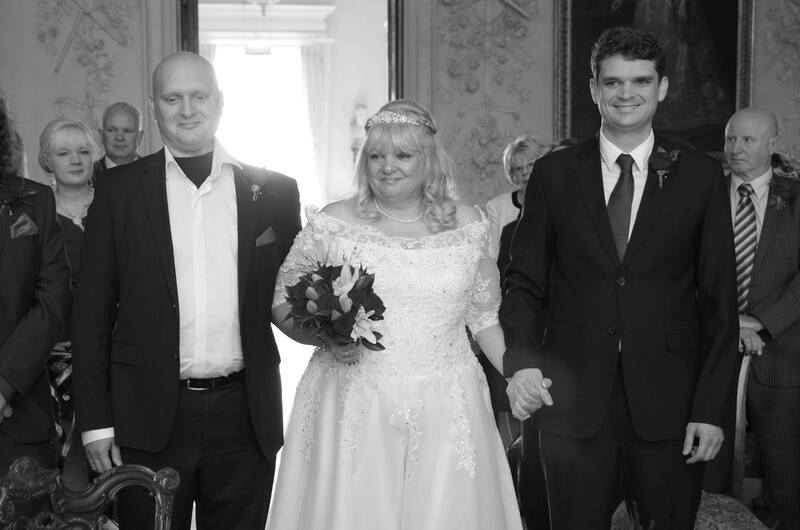 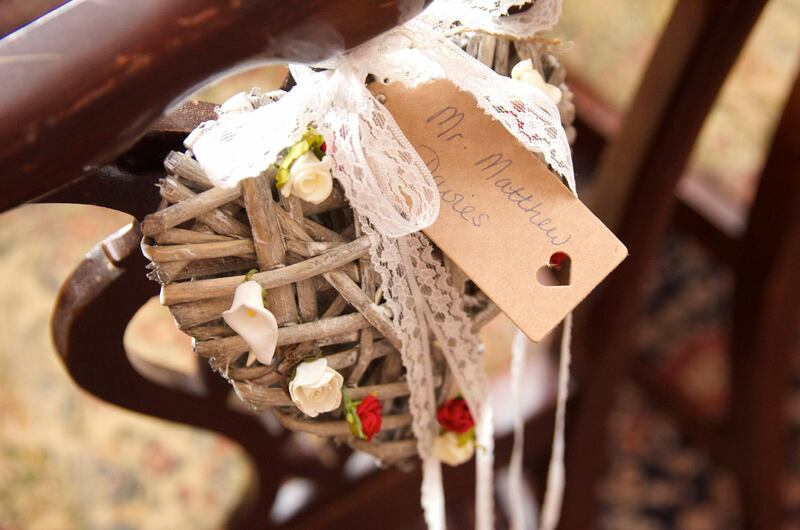 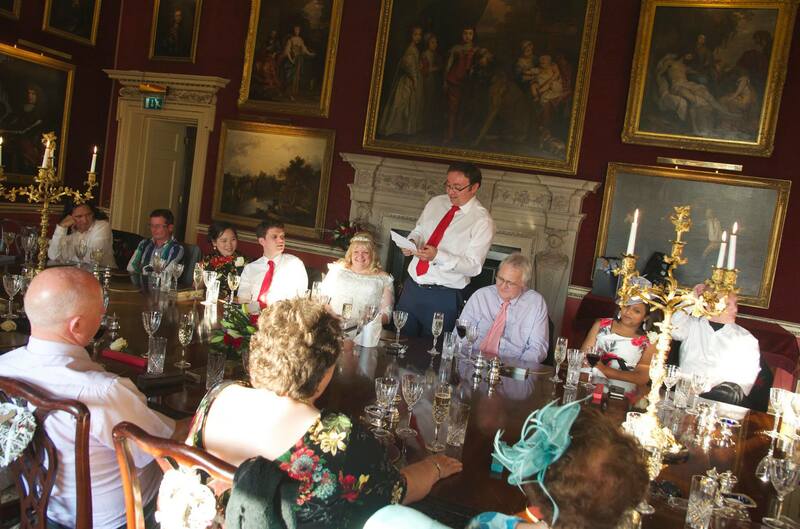 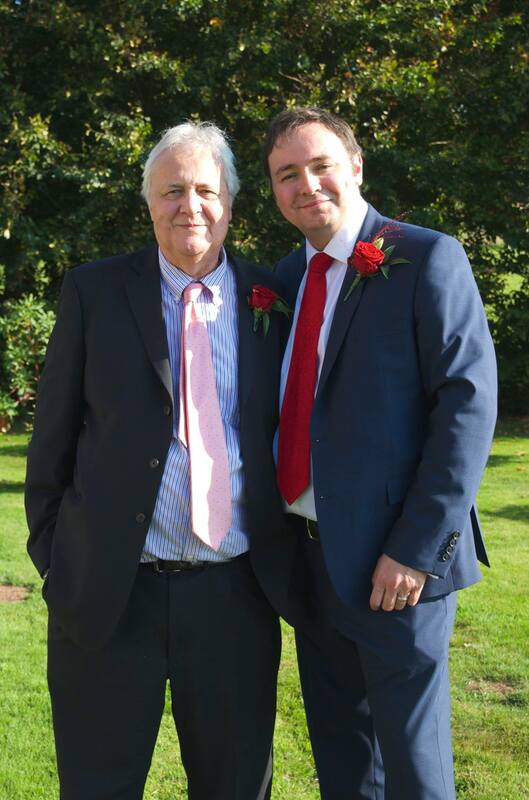 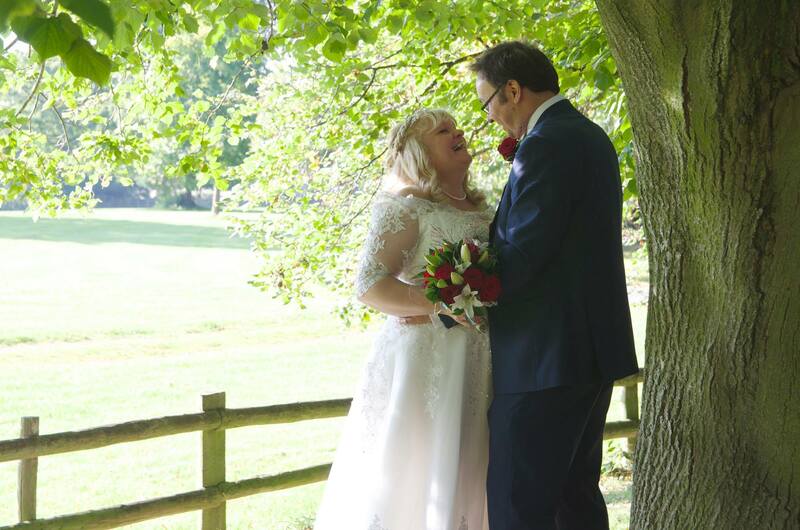 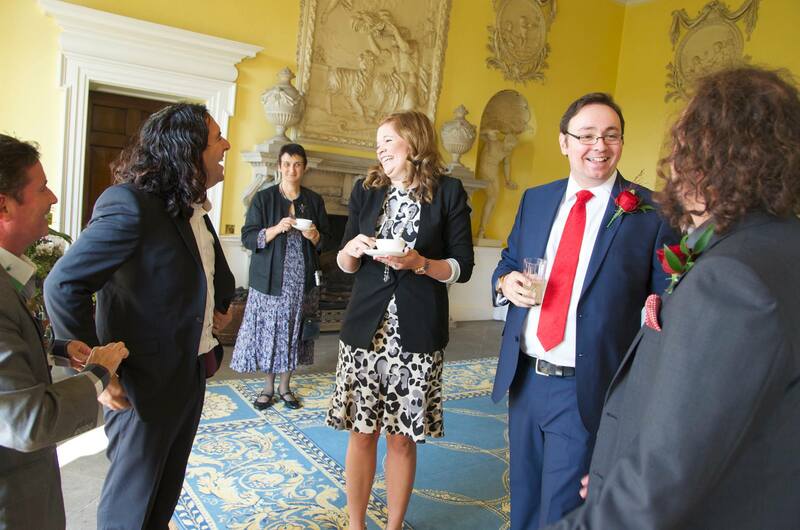 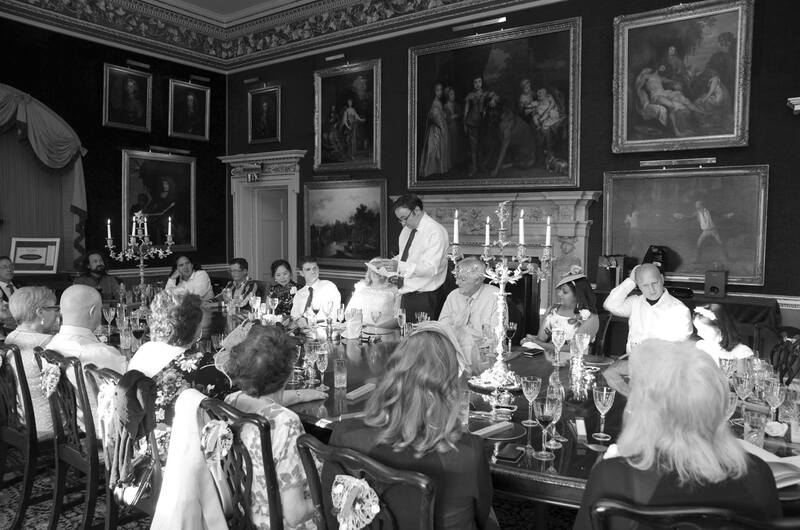 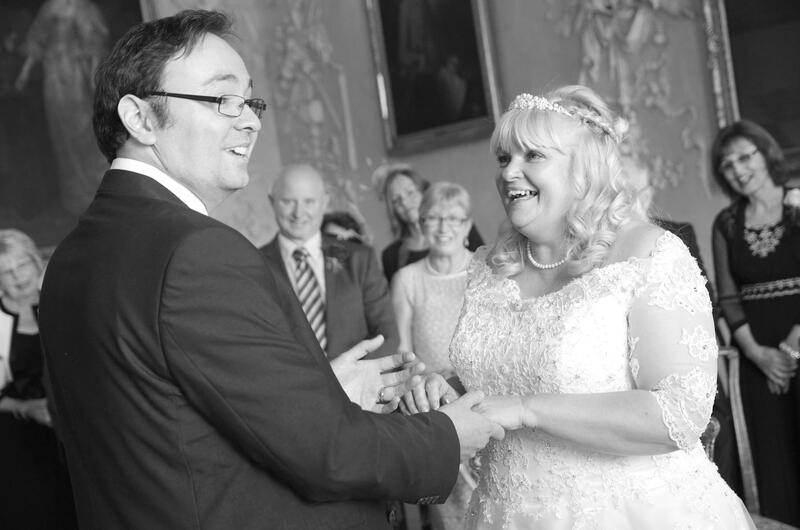 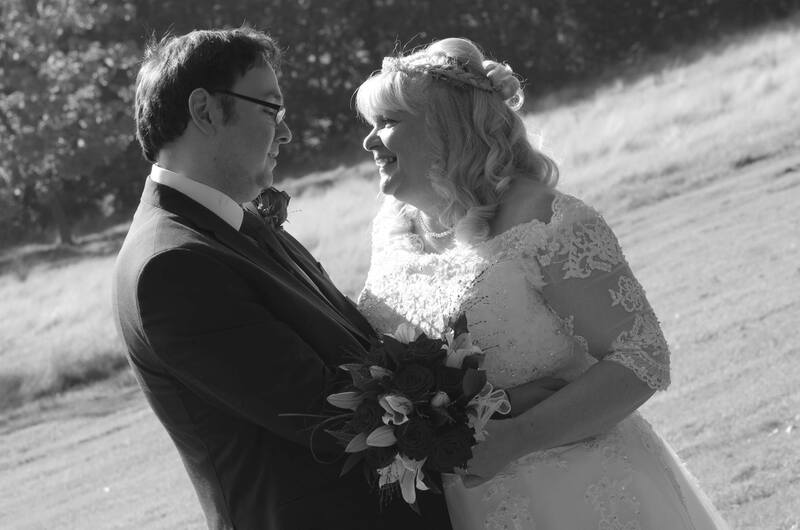 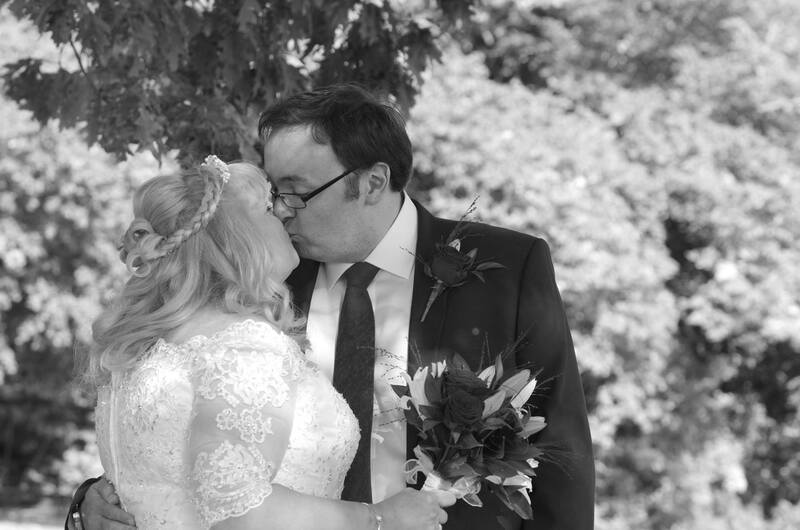 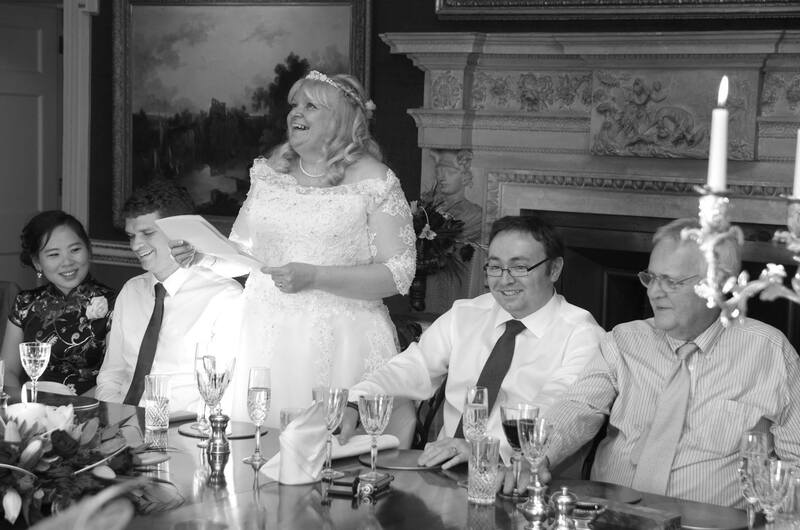 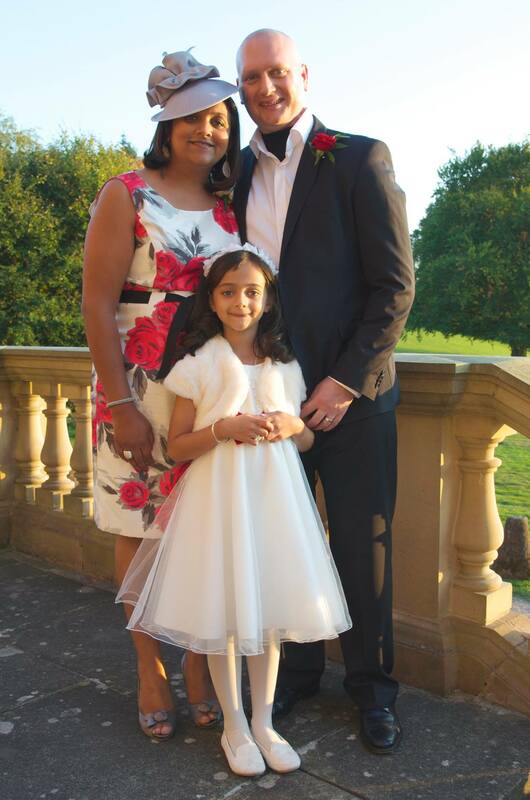 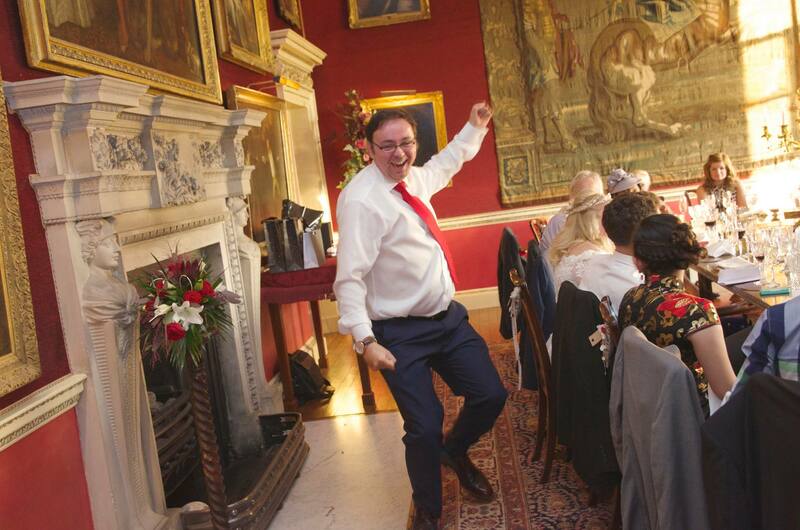 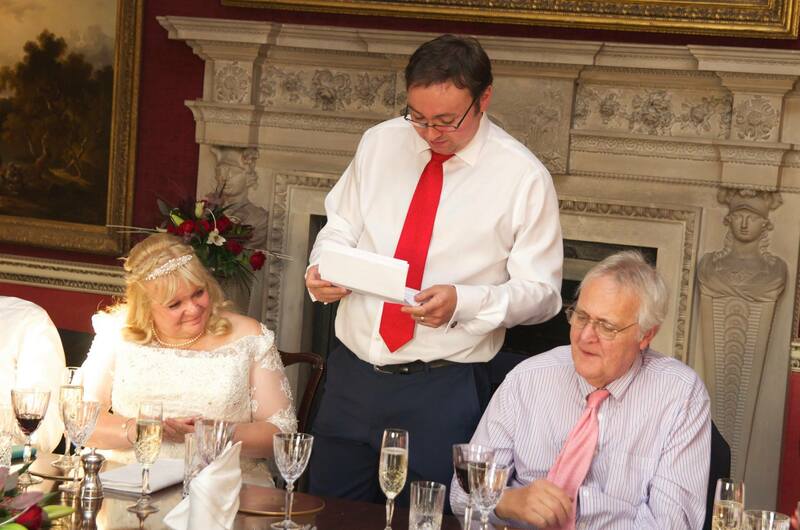 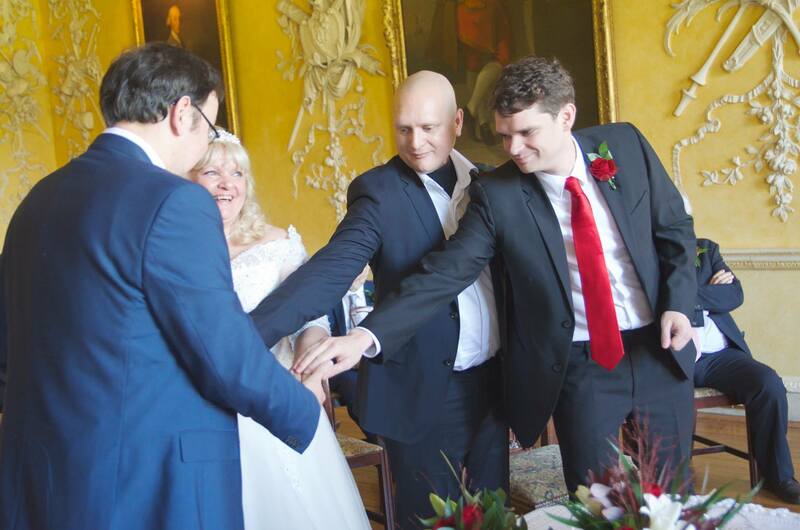 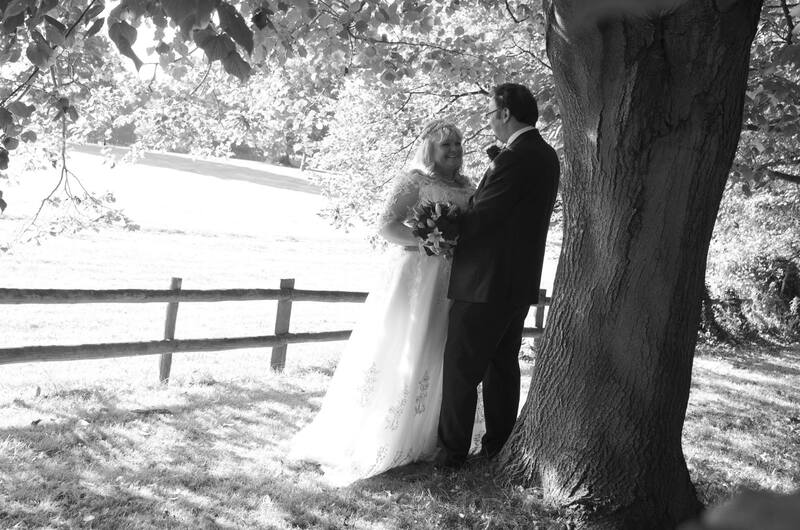 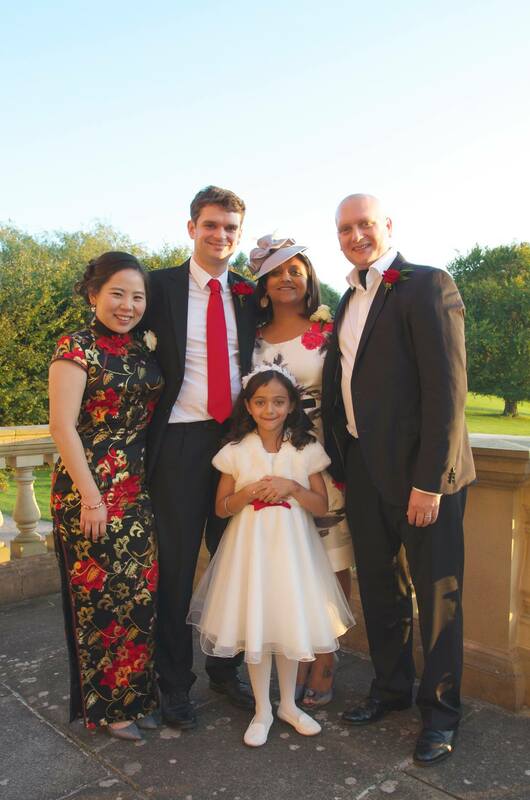 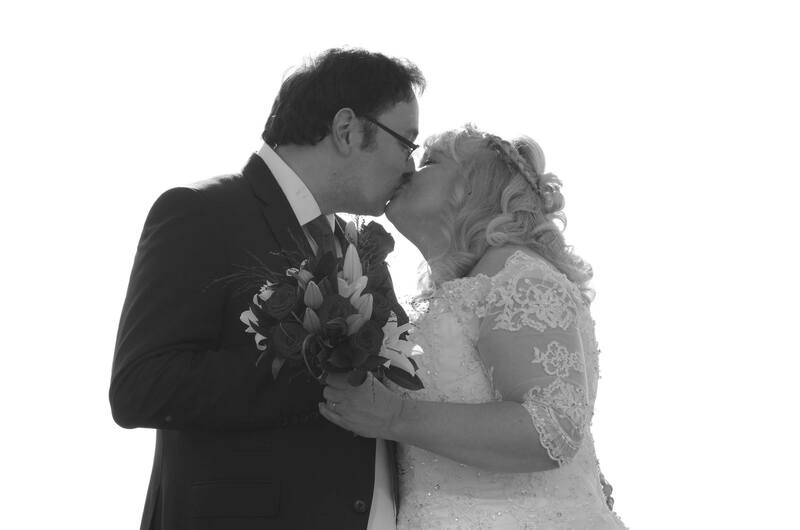 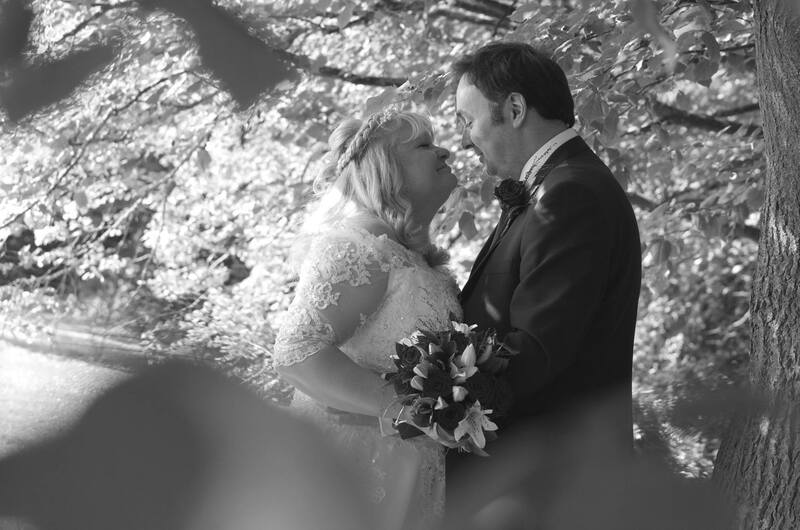 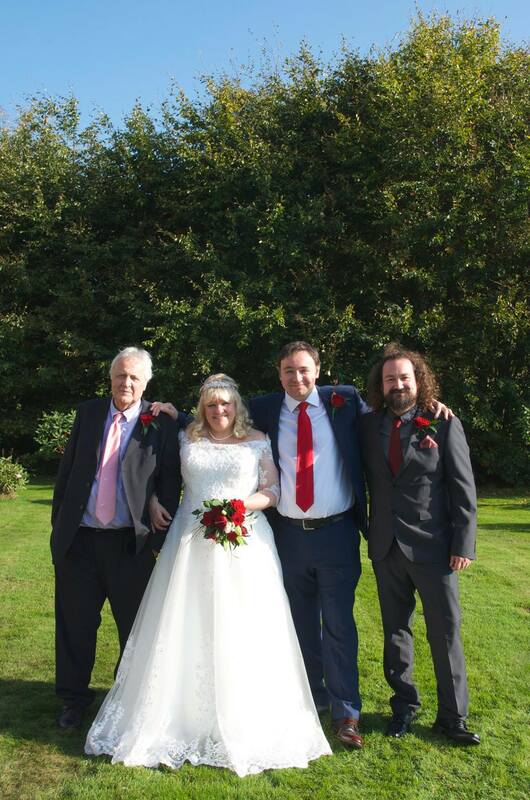 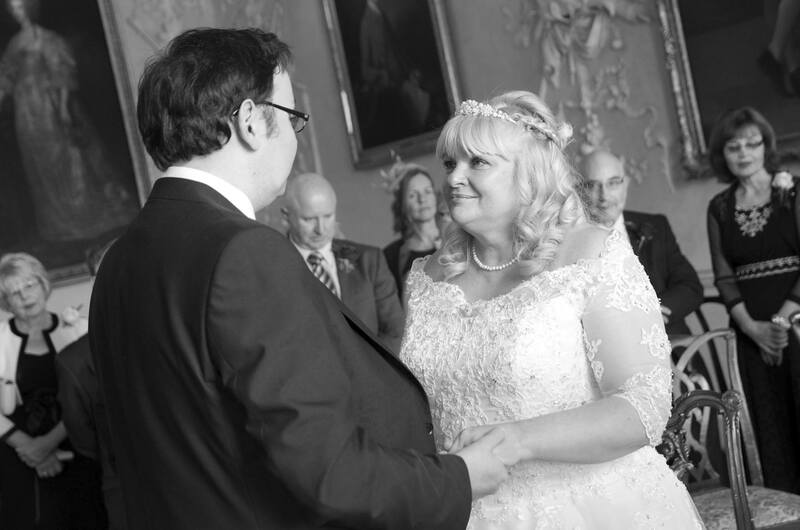 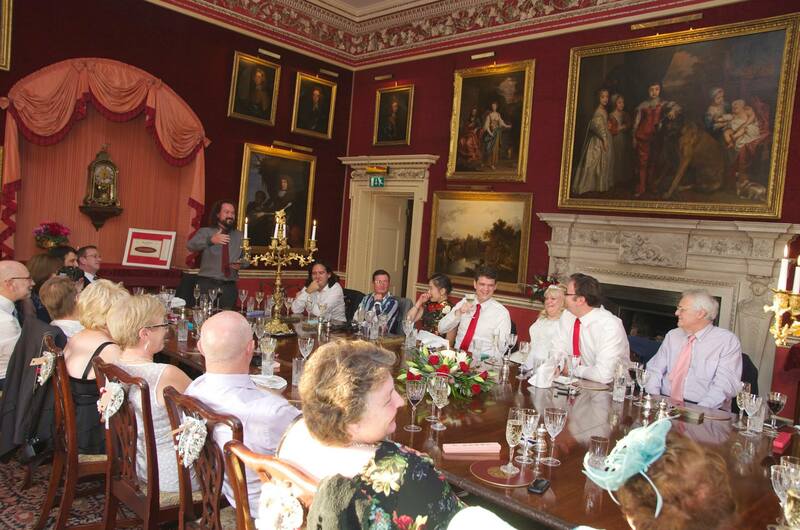 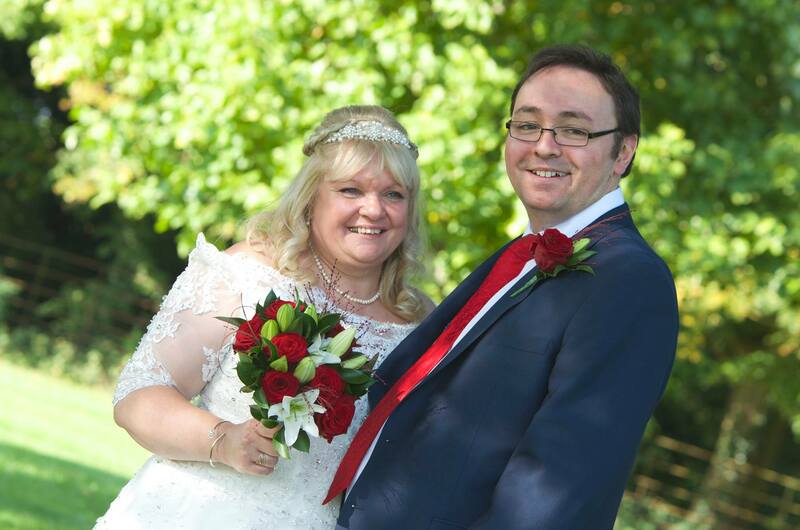 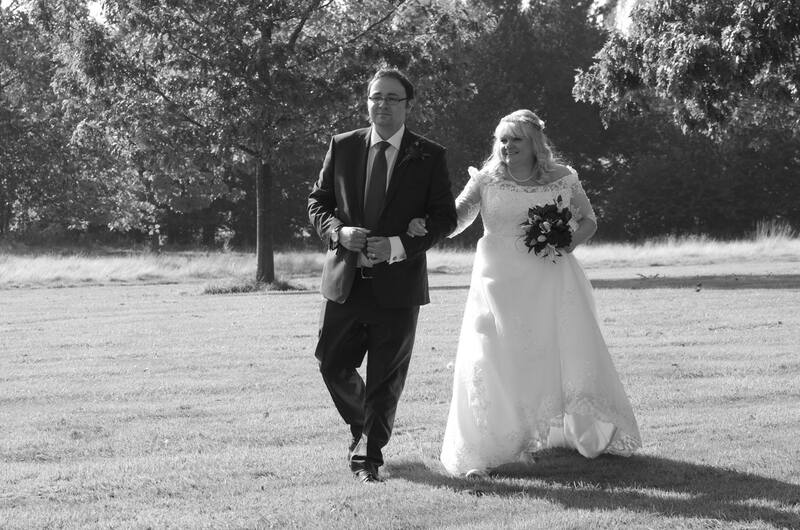 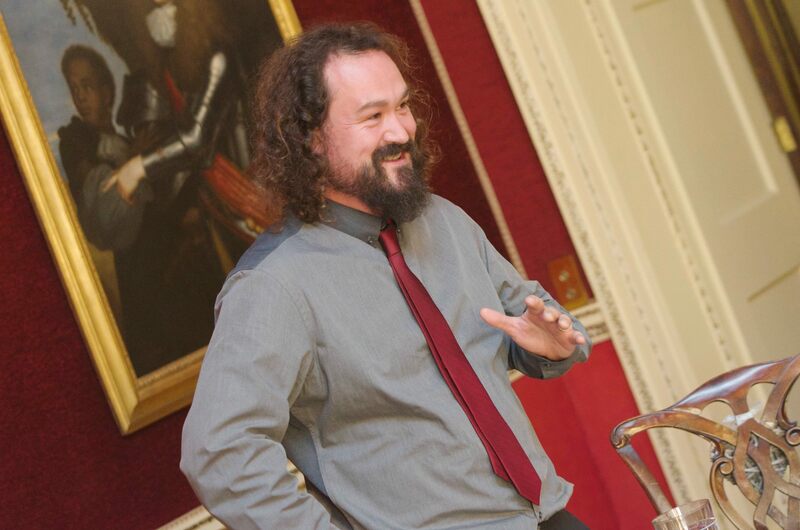 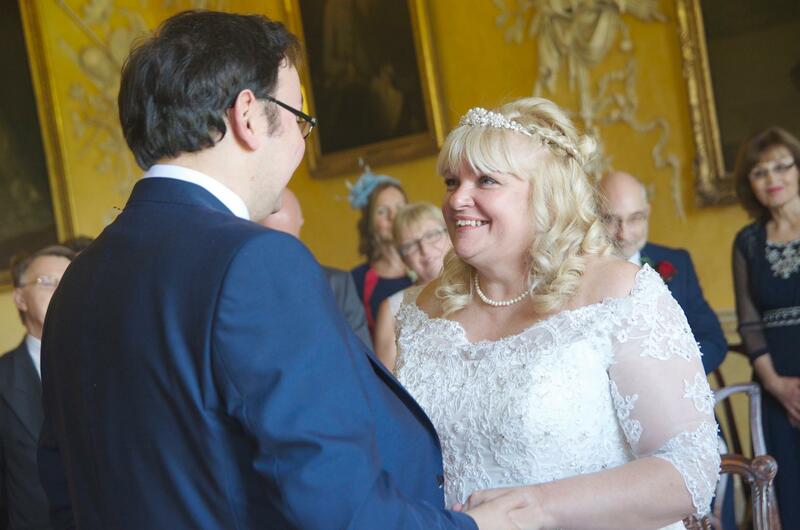 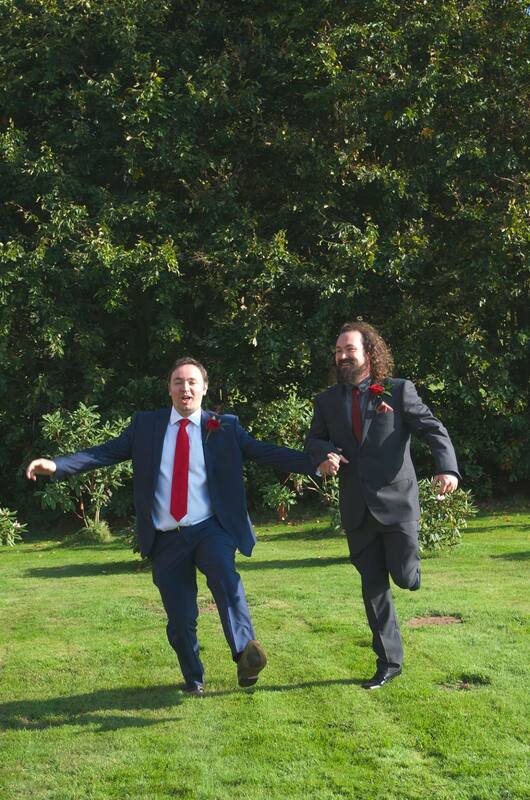 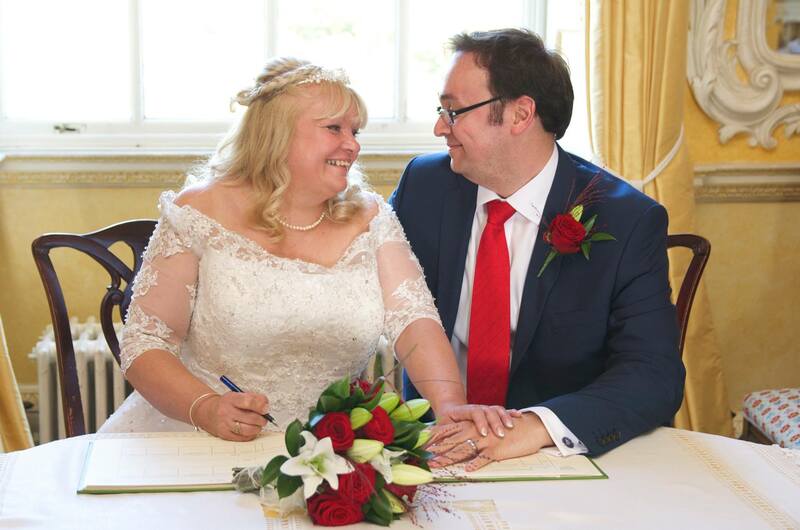 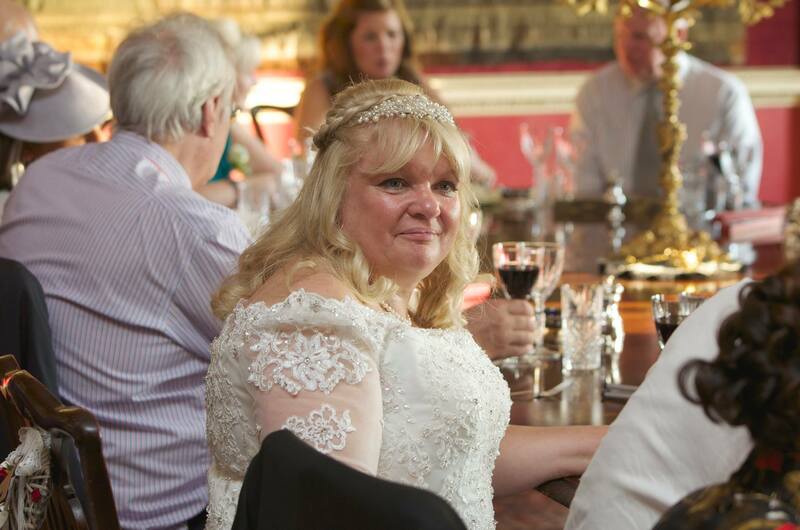 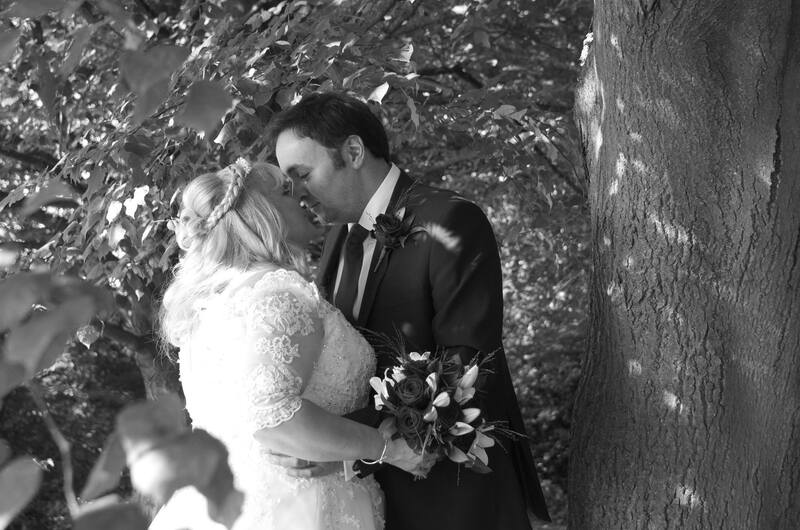 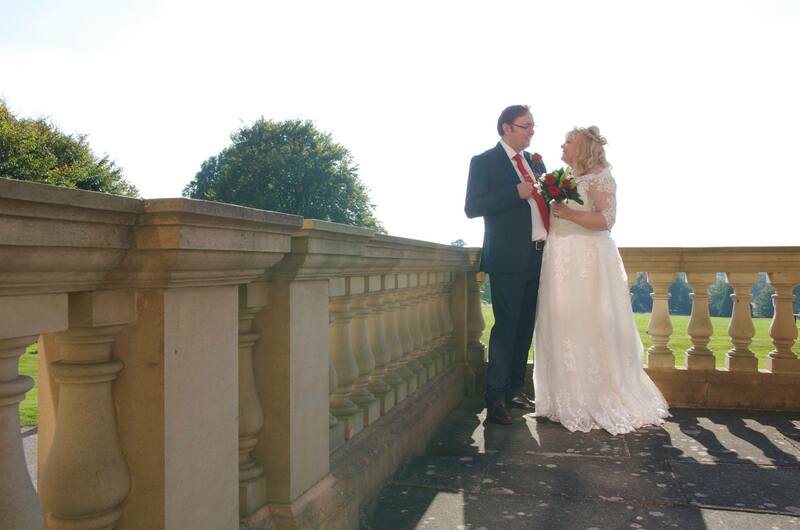 Matthew and Gill on 2nd October 2015 at Hagley Hall. 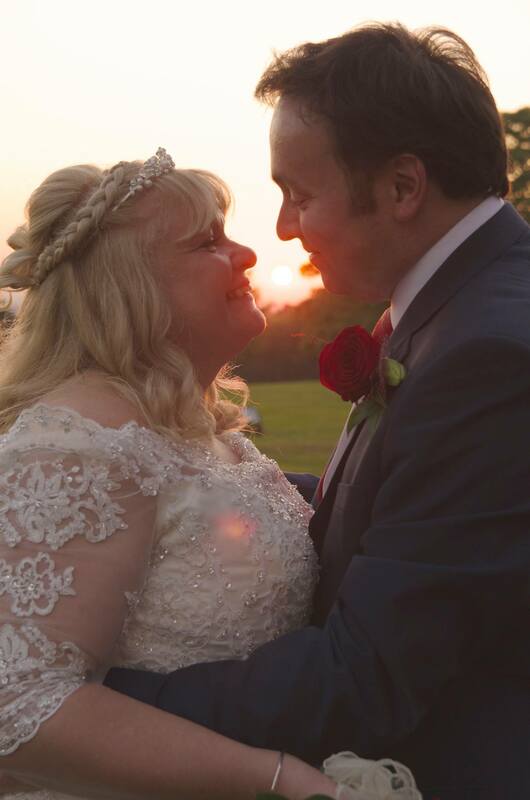 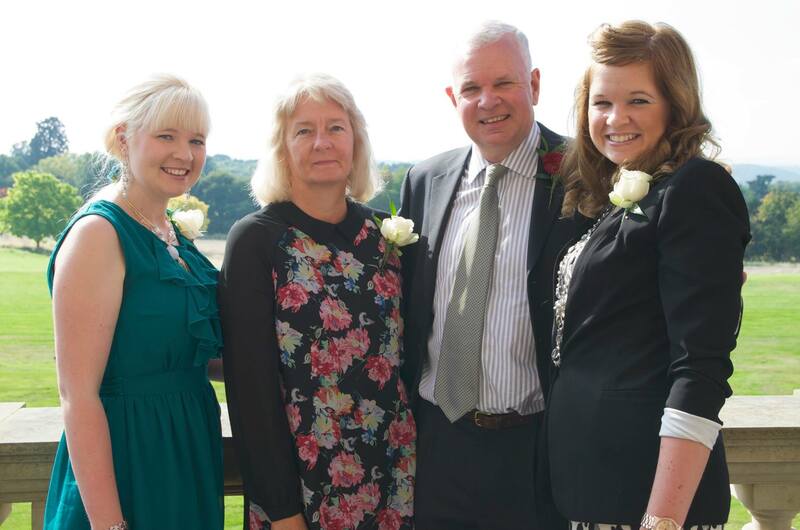 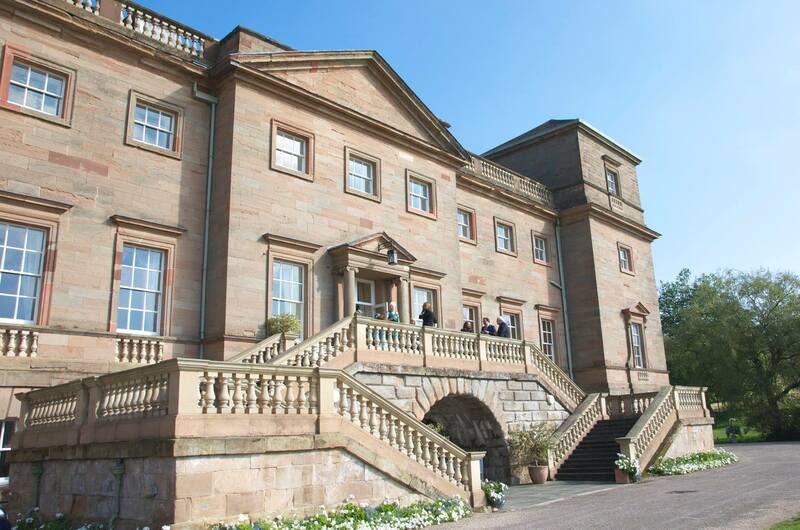 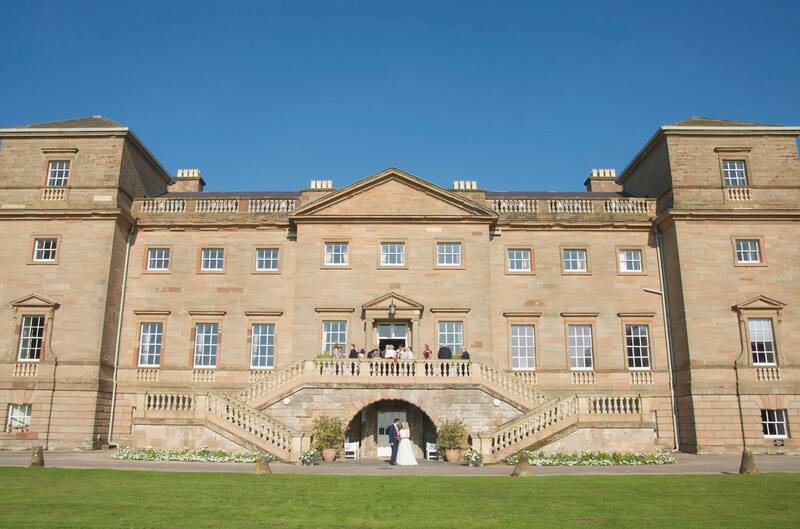 Gill and Matthew’s wedding took place at Hagley Hall in Hagley, with it’s lovely views over rolling fields, with only 28 of their closest family and friends in attendance. 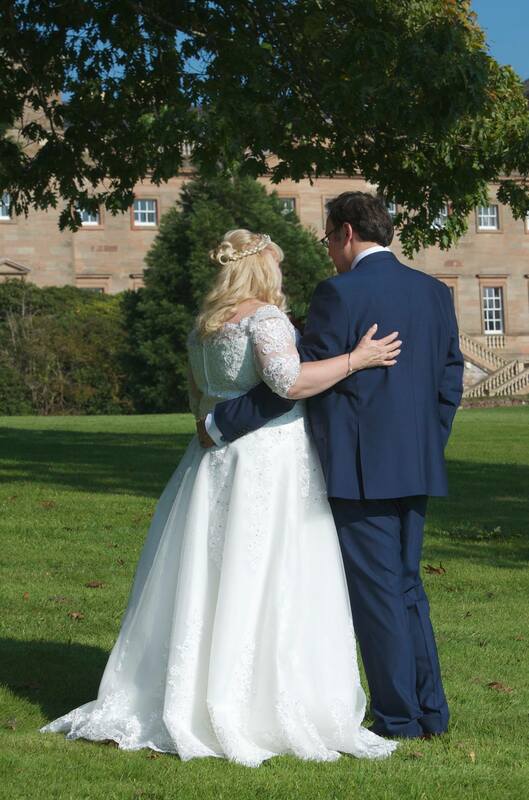 We dashed up the motorway to this beautiful location, after watching Wales win the rugby the evening before, for my lovely husband to be best man to his lifelong friend and his own best man at our wedding all those years ago ;). 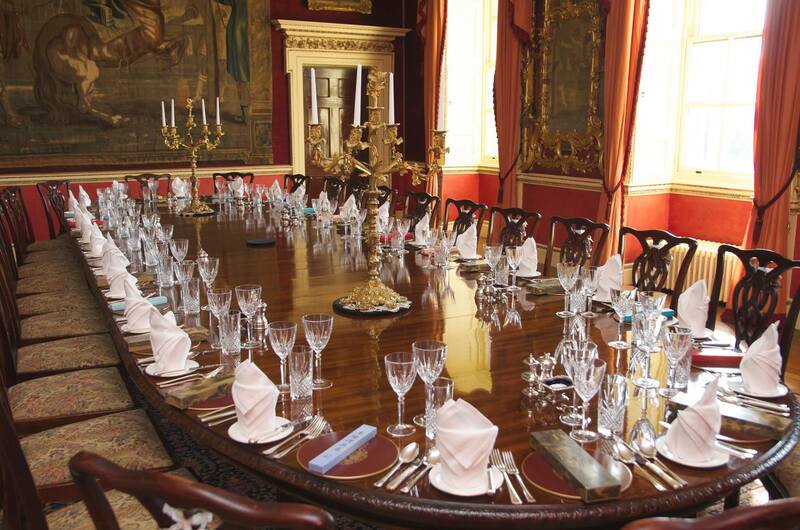 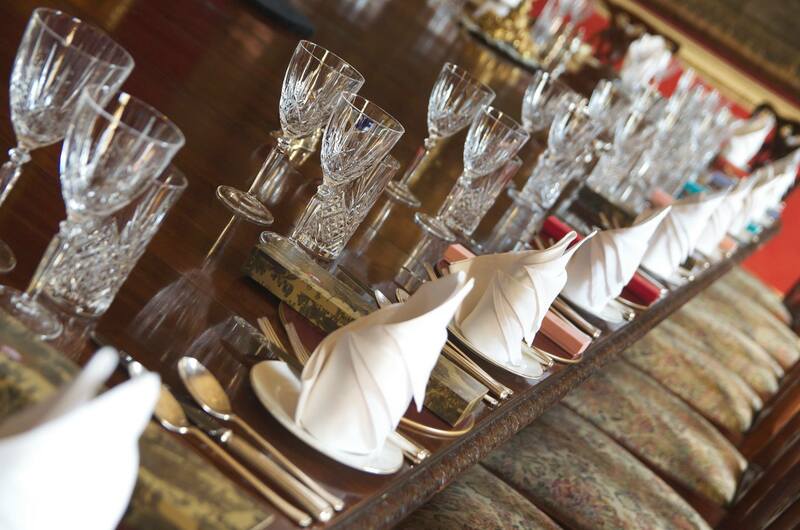 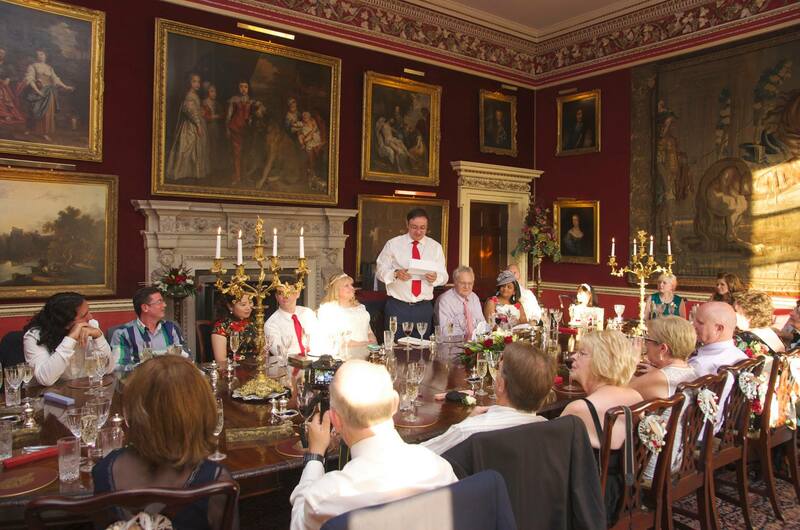 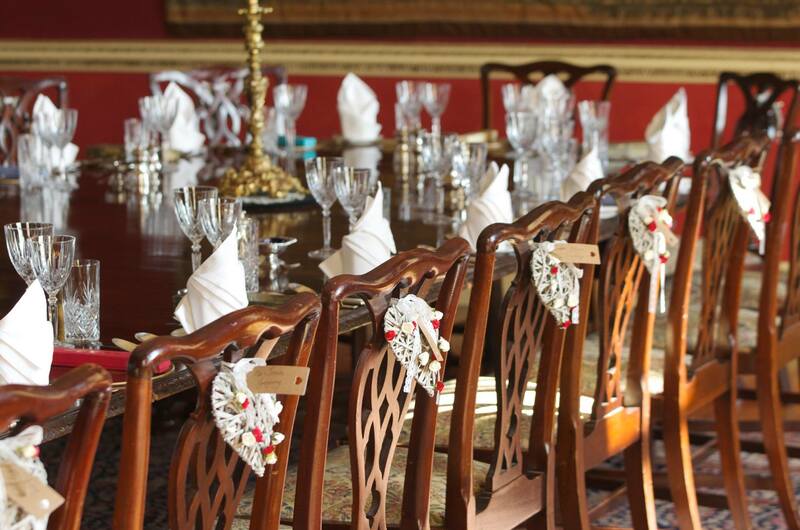 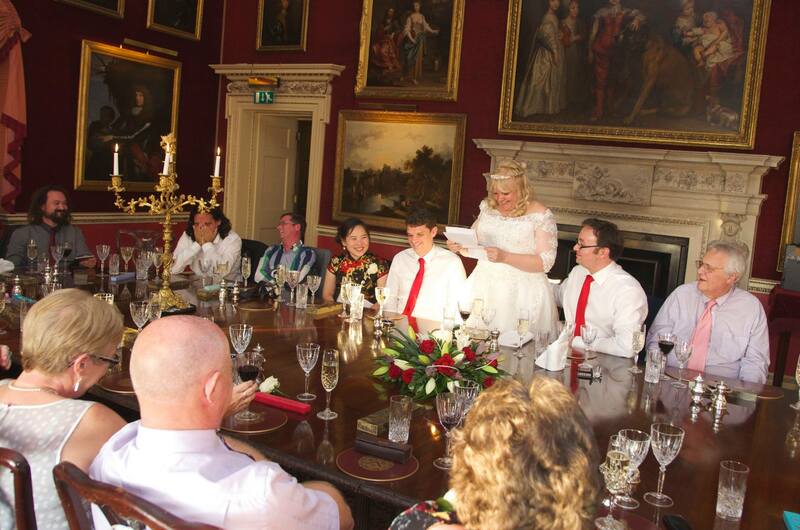 I have to say I felt like a star from Downton Abbey when I saw the table setting and the thoughtful and unusual details that were so in keeping with the atmosphere of the great crimson dining room. 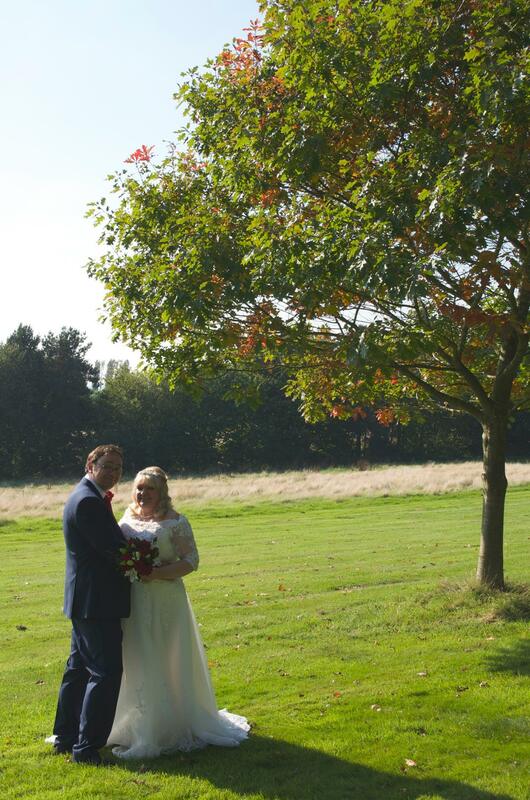 A few adjustments, a bit of a chat and one final practice before Gill arrived. 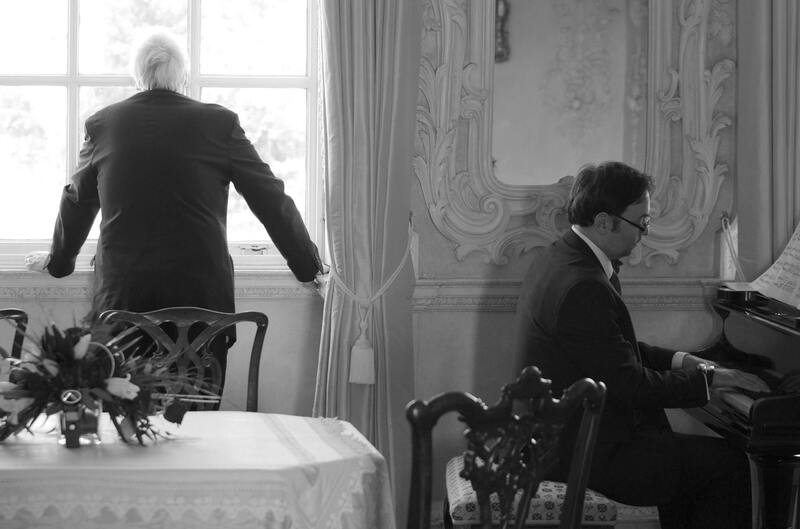 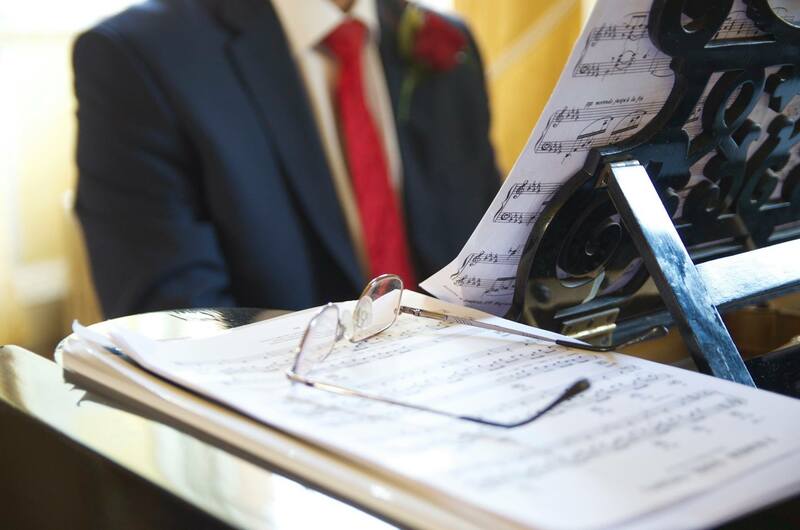 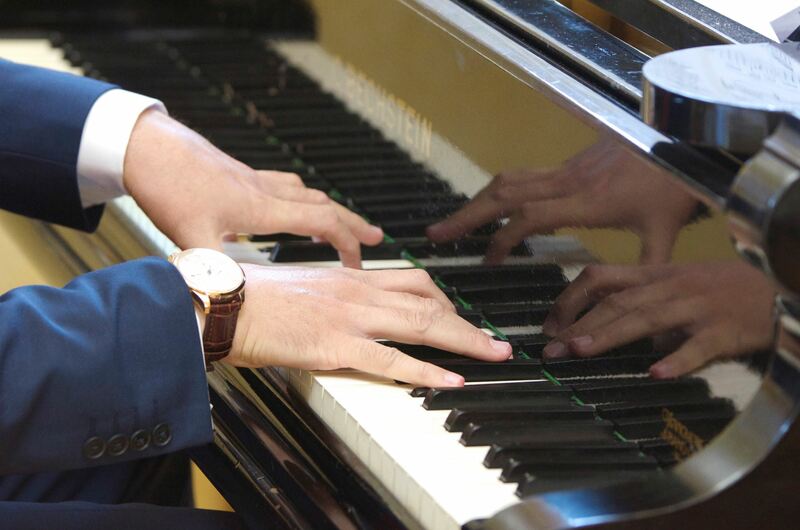 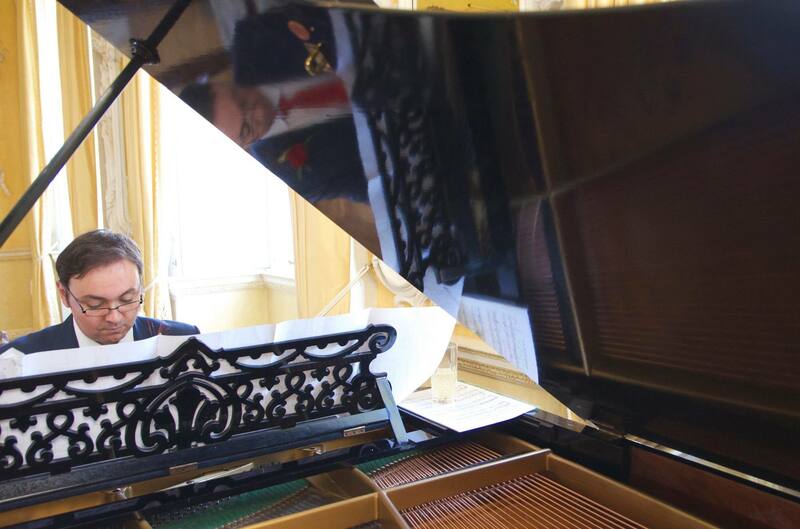 What could be more romantic than to have your husband-to-be play the piano for your arrival. 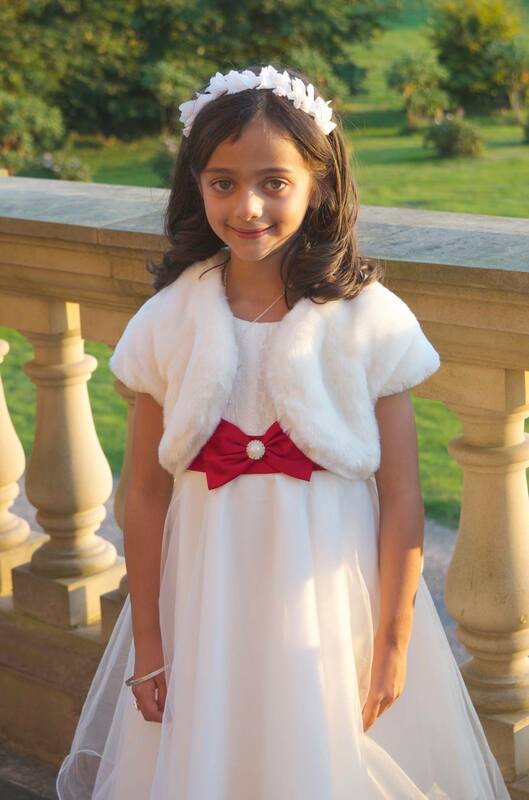 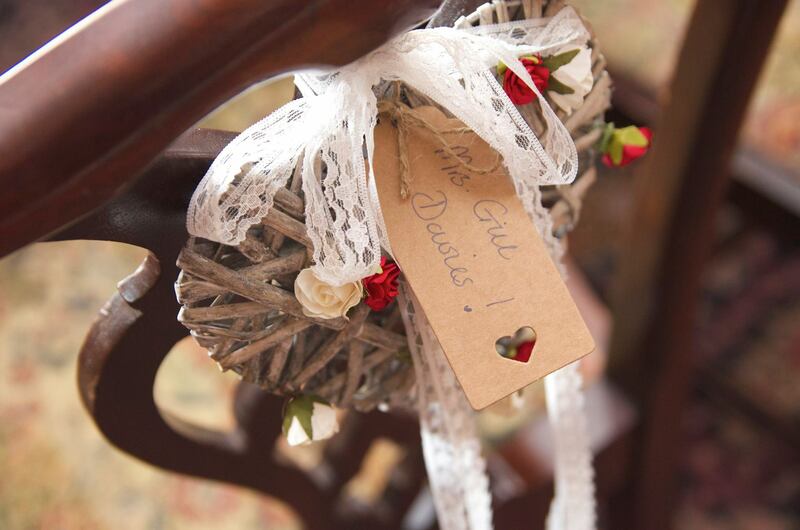 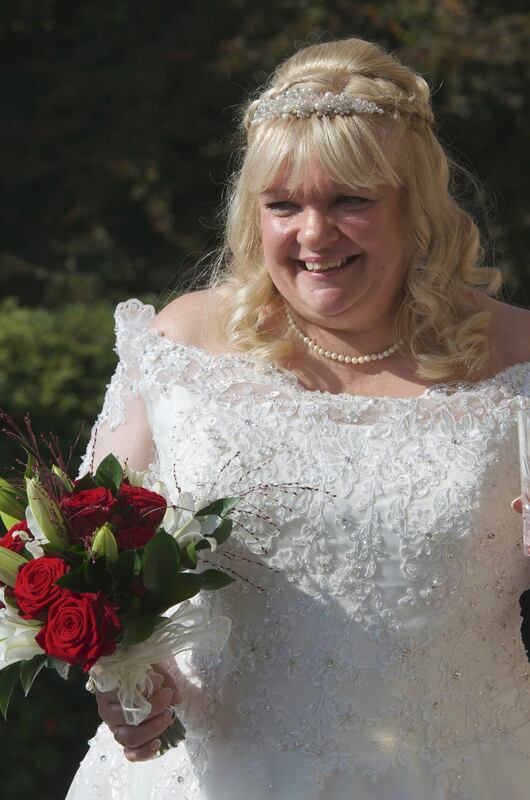 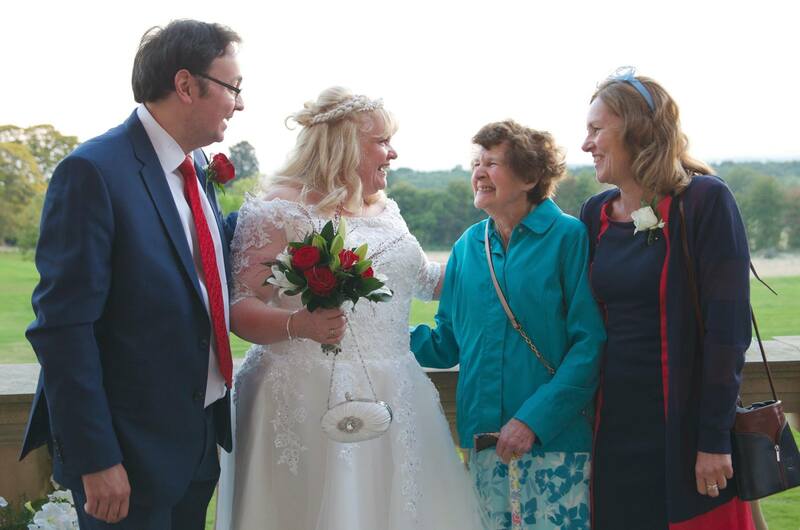 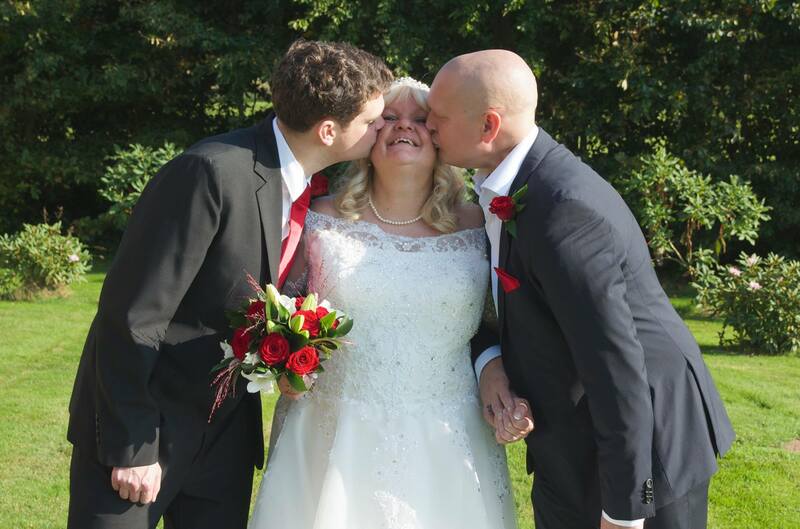 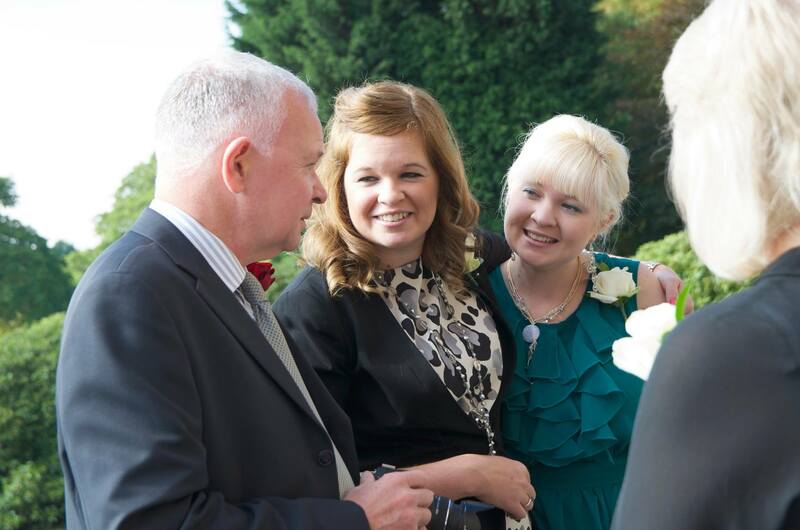 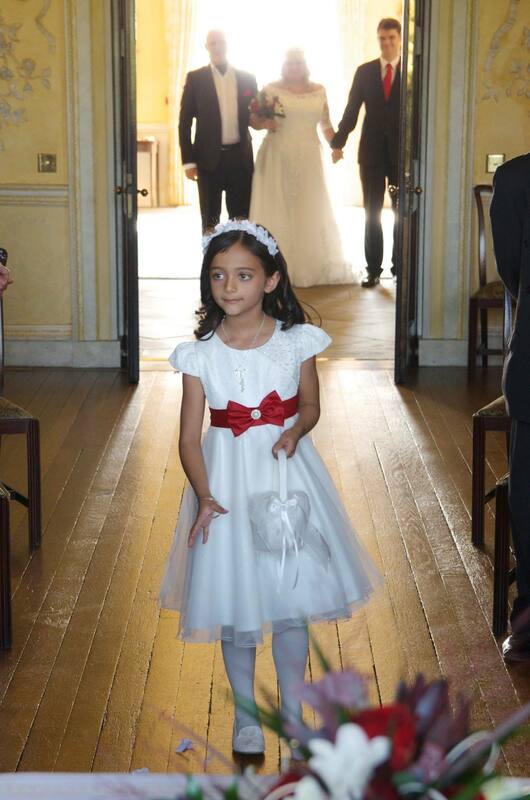 Gill walked down the aisle accompanied by her two sons following her granddaughter who made a beautiful flower girl. 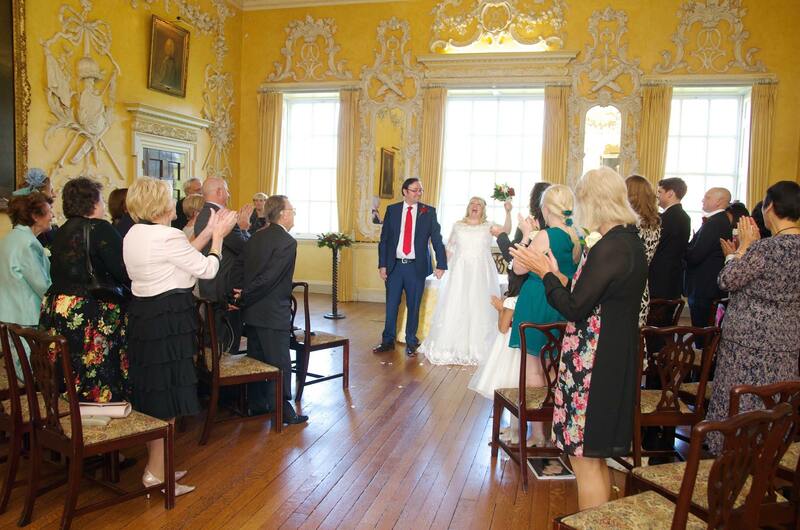 It was a lovely ceremony in the White Room (I know it’s yellow 😉 ) with lots of tenderness and smiles which ended with a whoop of joy. 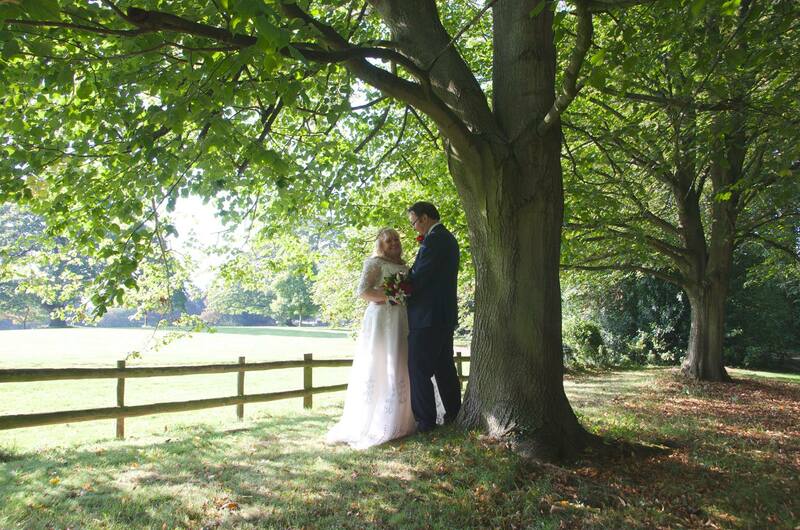 Outside into the glorious sunshine for some couple, family and group photographs. 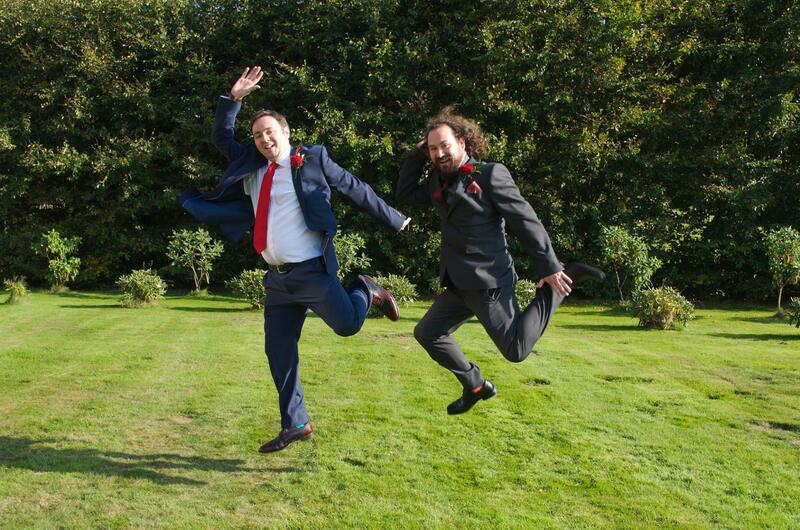 Along with a little bit of fun which is normal when Matthew and Ian get together. 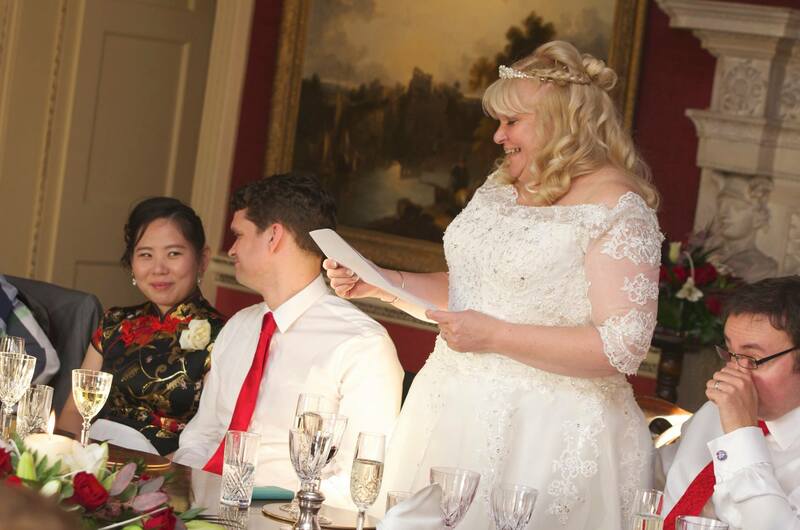 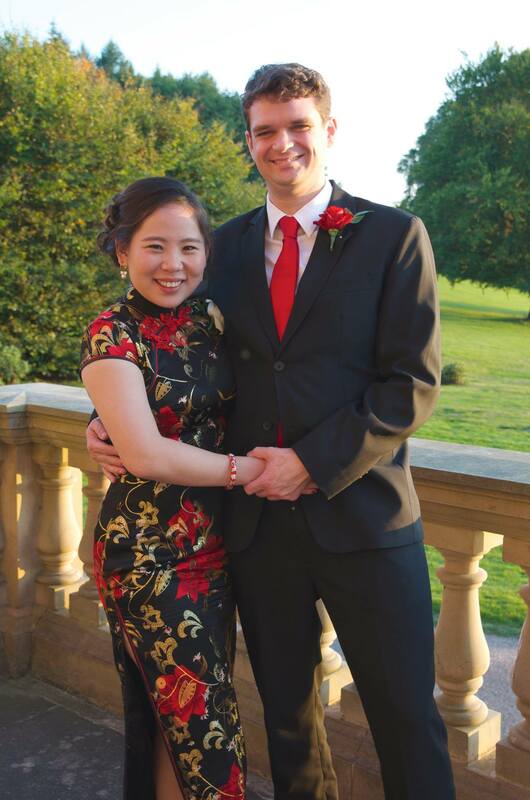 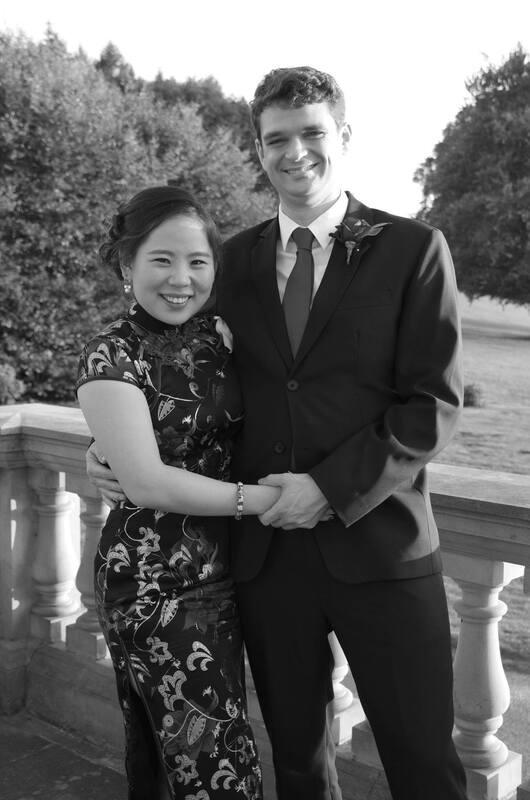 Dinner was served in the beautiful Crimson Room and the speeches followed with gifts of beautiful Chinese fans for the ladies and traditional chopsticks for the men. 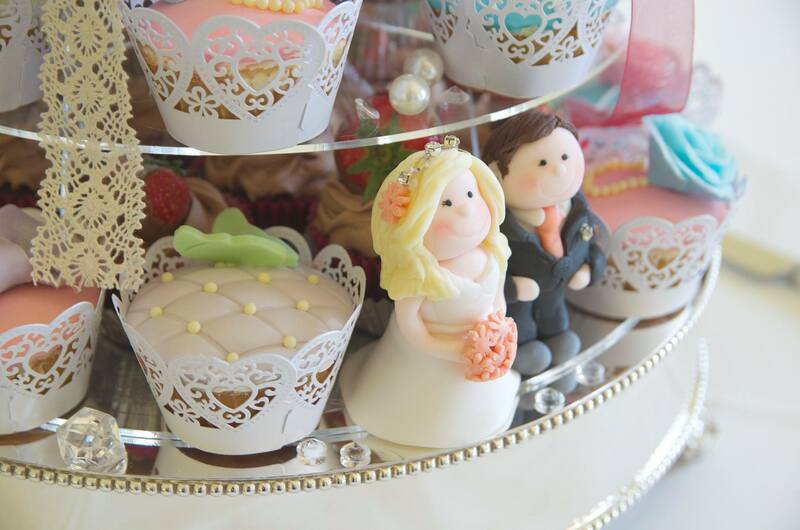 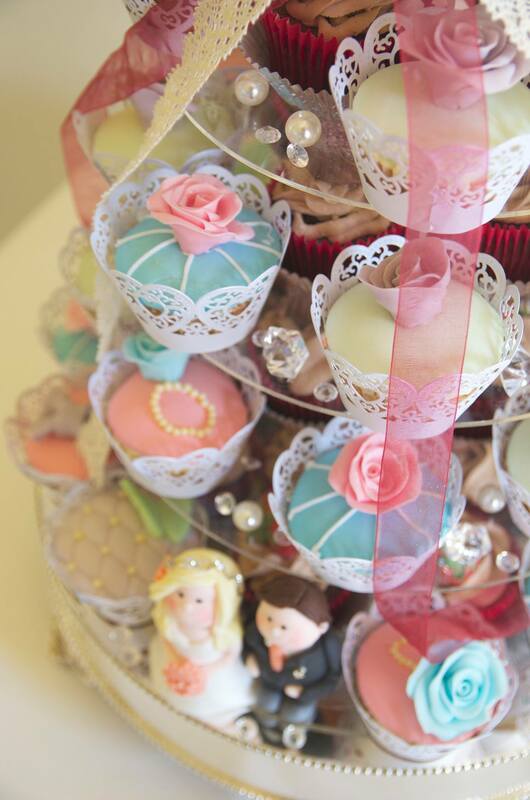 What a stunning cake and cute figures. 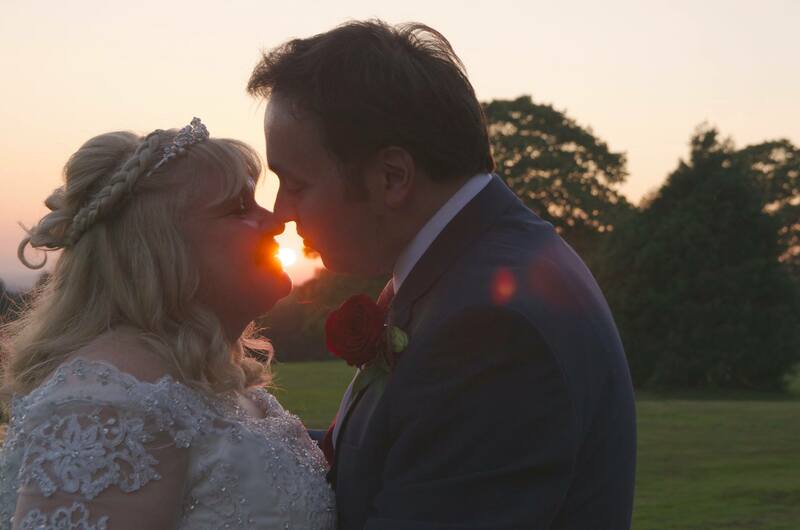 Afterwards the groom played for their guests and we managed to get outside again to catch the end of the sun setting on a really wonderful day. 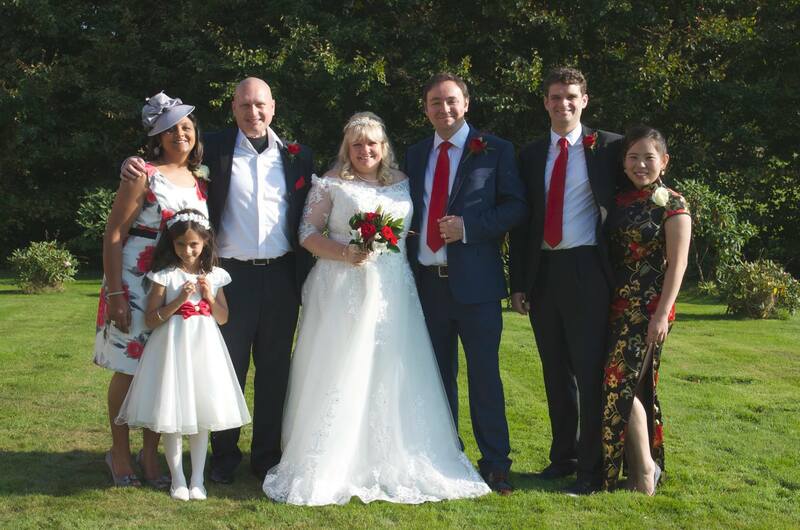 Thank you Matthew and Gill for inviting us.